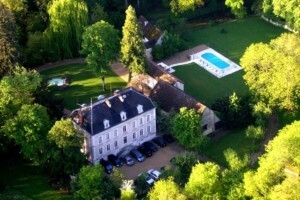 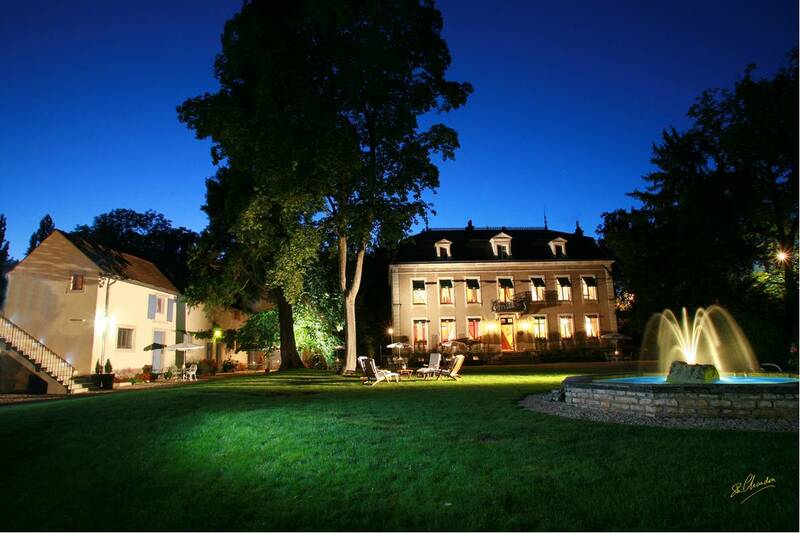 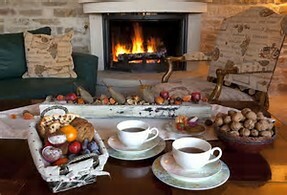 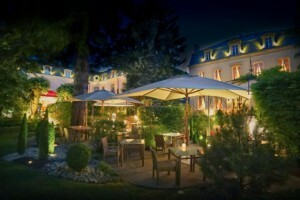 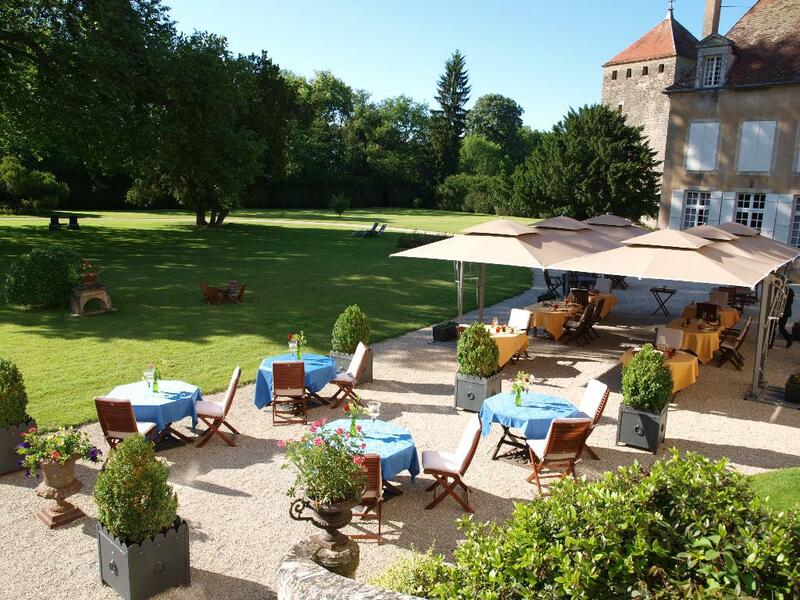 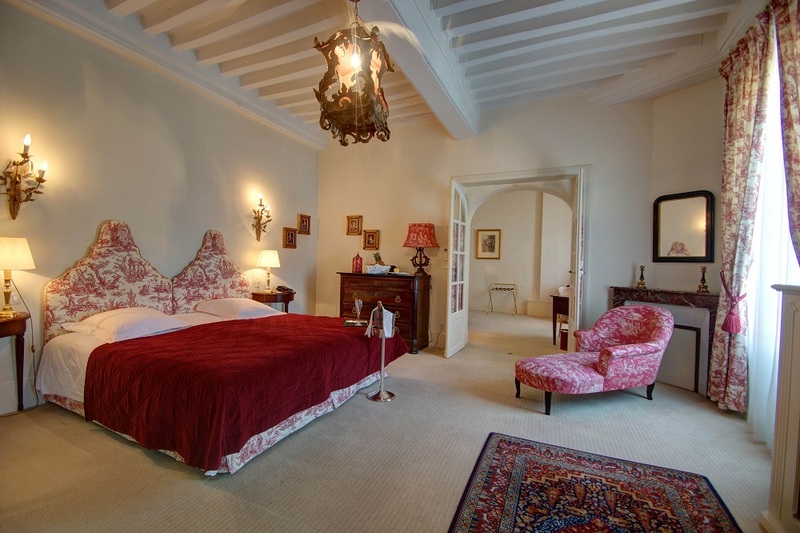 The manager and his team, will do their best to ensure your comfort in the remarkable setting of the Château. 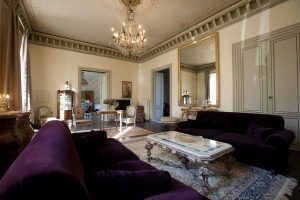 A place where light, space, elegance and comfort combine perfectly. 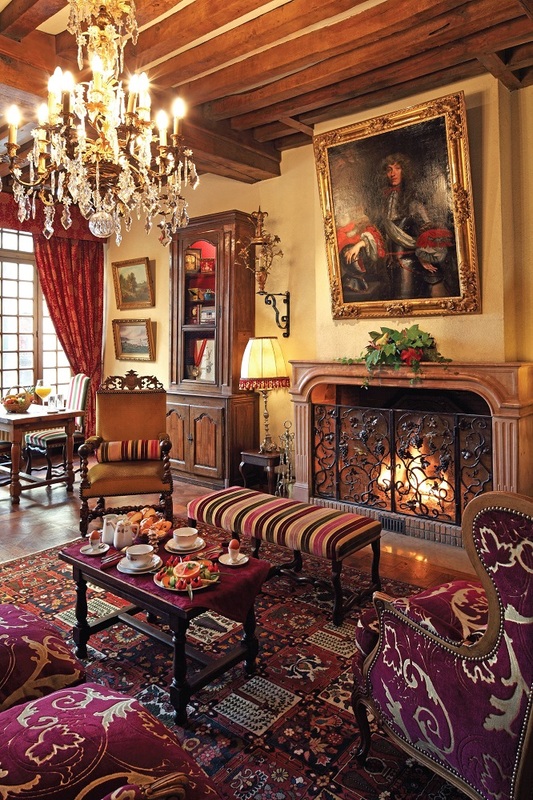 The BERNARD family has succeeded in creating a sense of genteel harmony. 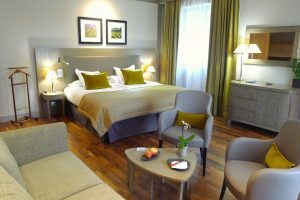 Everything has been designed for you to feel at home. 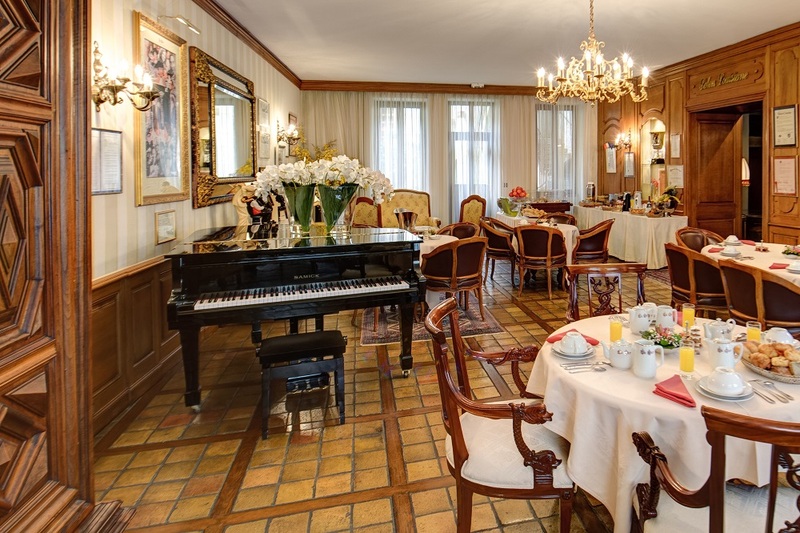 An elegant listed courtyard provides a perfectly calm setting for an unusual breakfast. 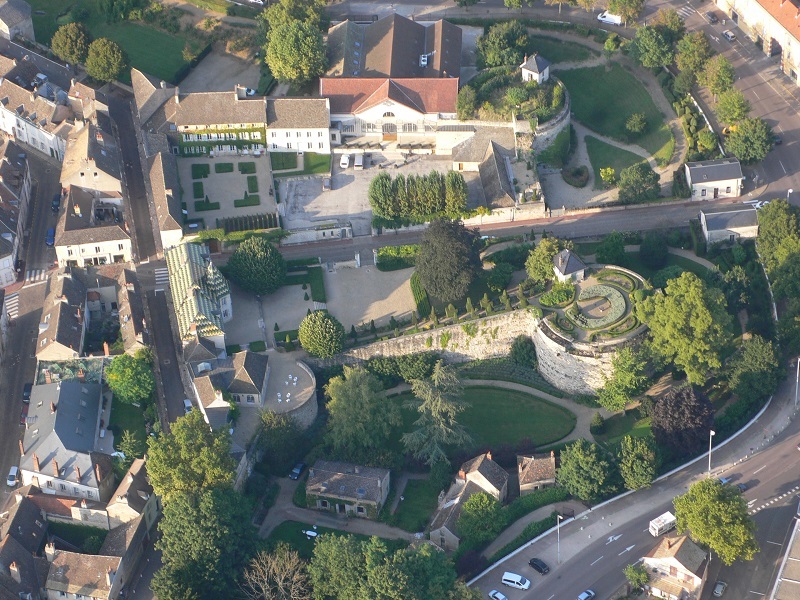 It is a haven of peace right in the town centre. 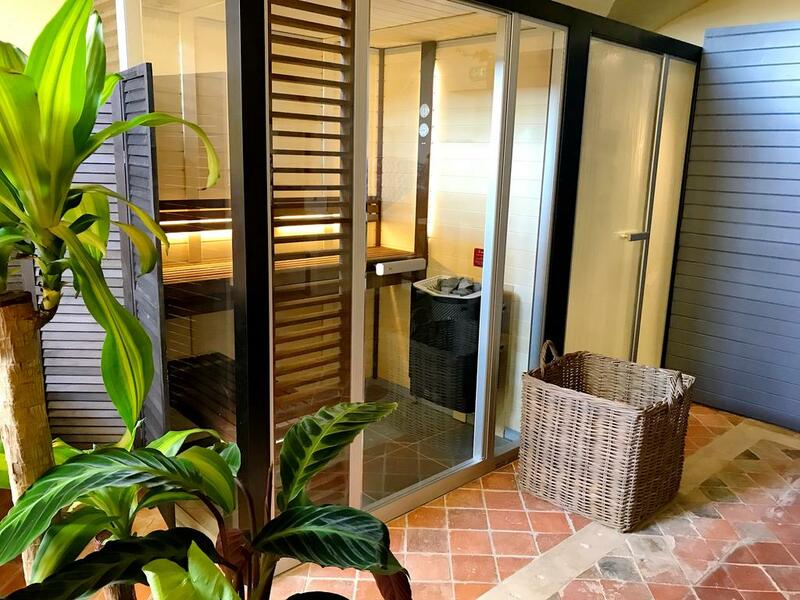 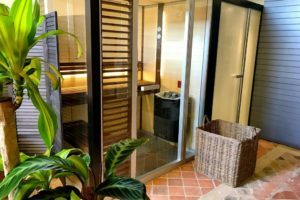 And the spa Marie de Bourgogne, recently opened offers you a multisensory approach which combines new technologies and relaxing treatments. 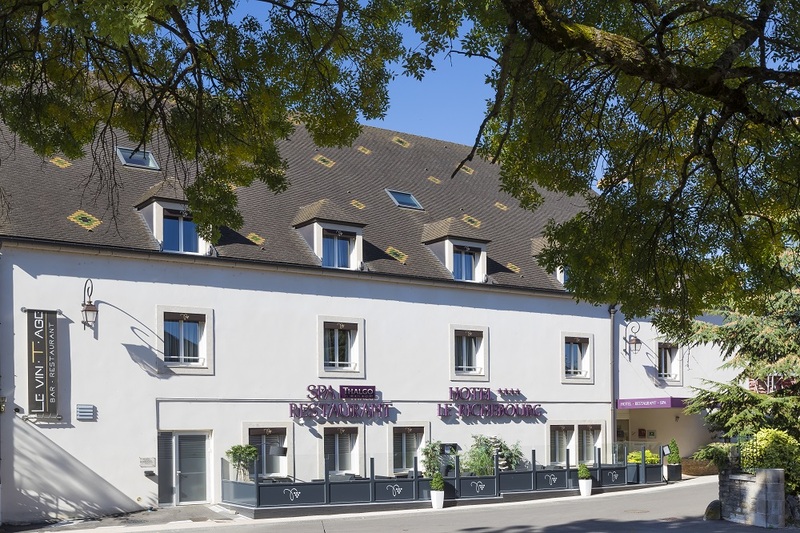 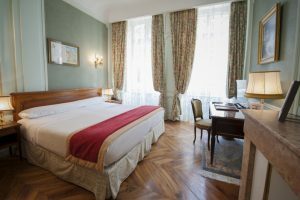 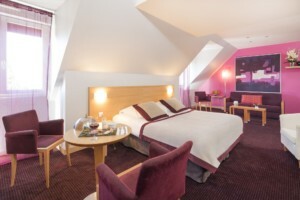 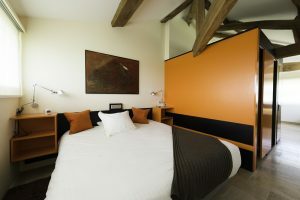 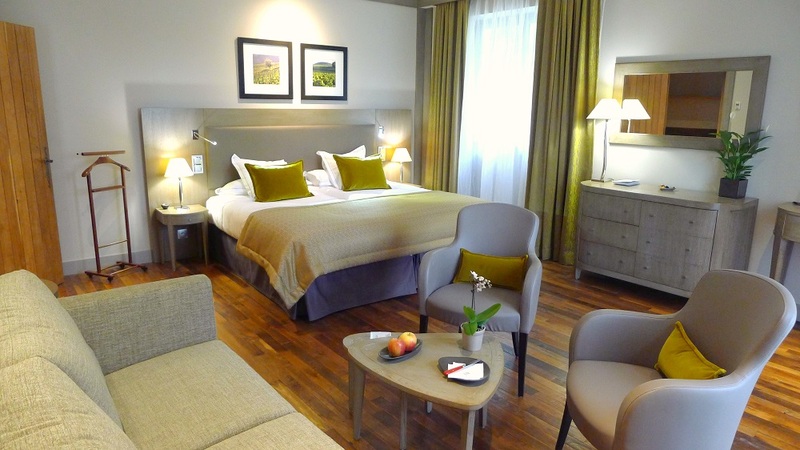 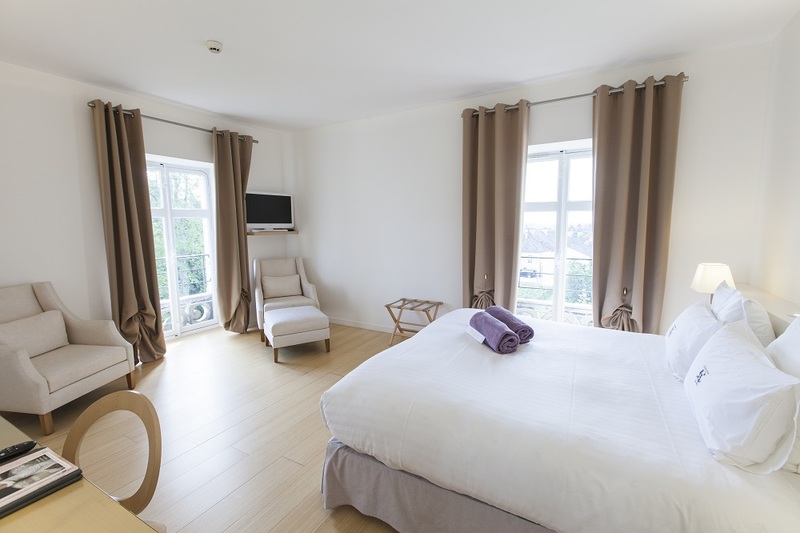 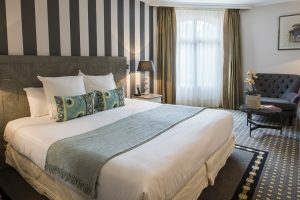 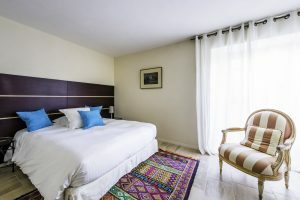 Close to the town centre, Raphaël Meyer and his friendly team offer quiet and spacious bedrooms in a charming building. 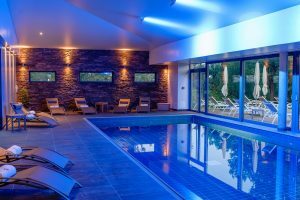 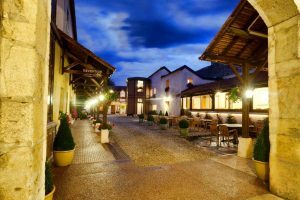 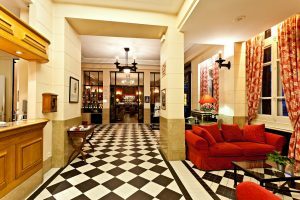 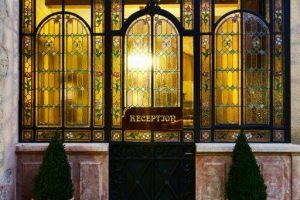 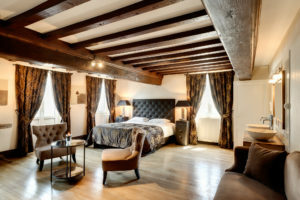 The manager and his team will introduce you to the comfort of a former XIXth century coaching-inn which has been magnificently renovated. 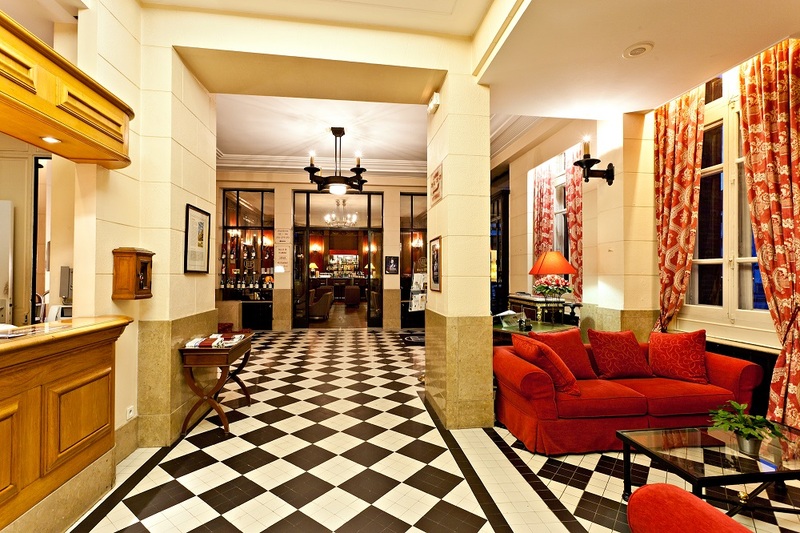 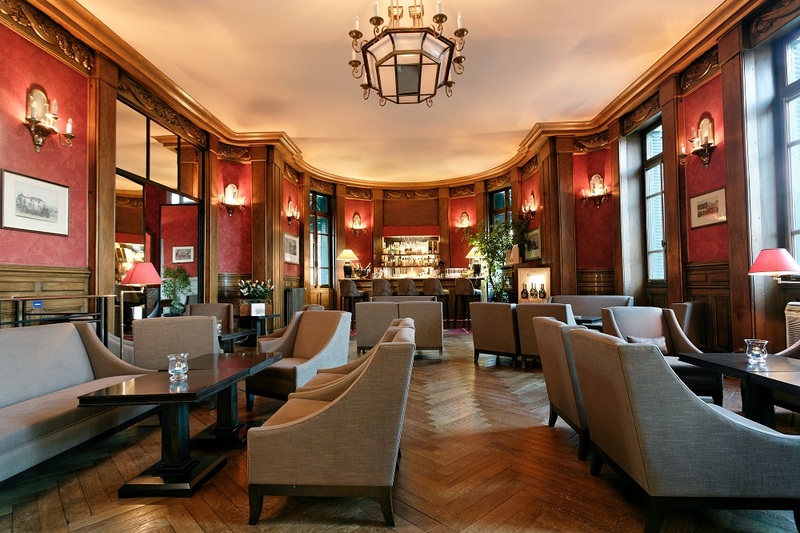 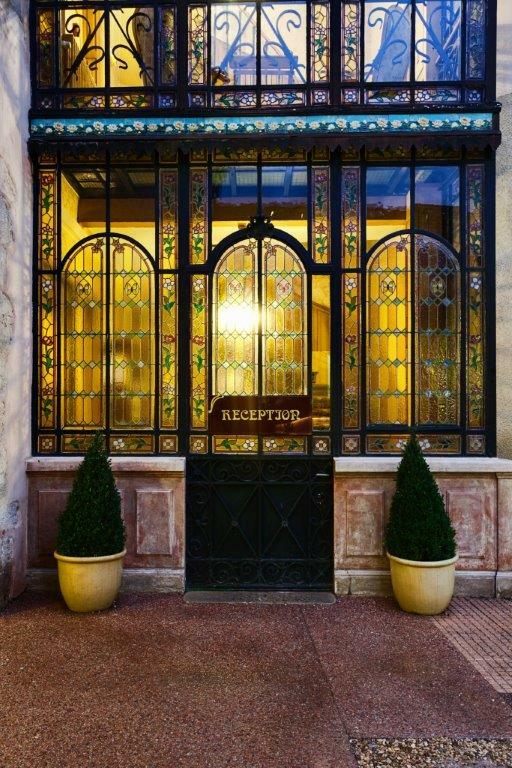 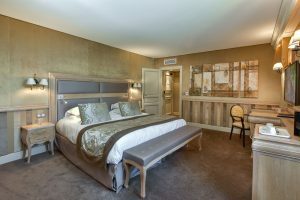 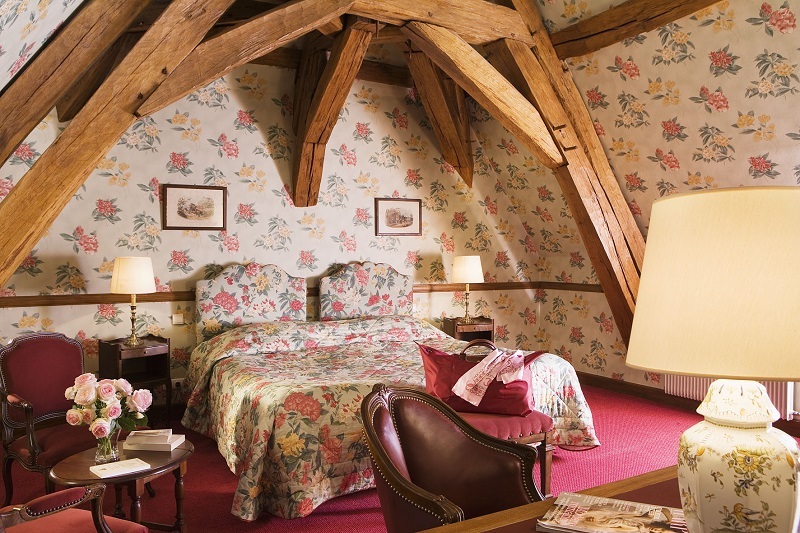 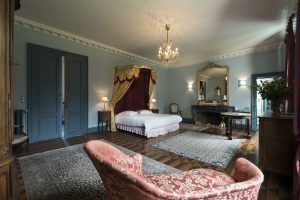 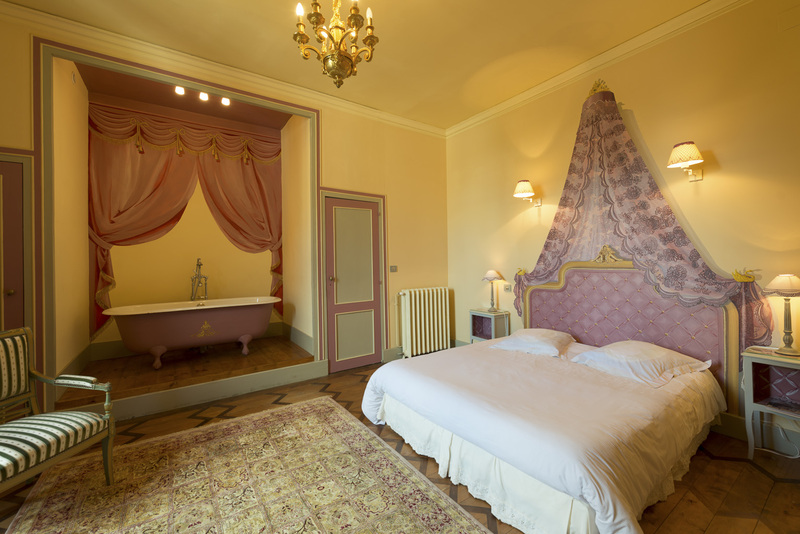 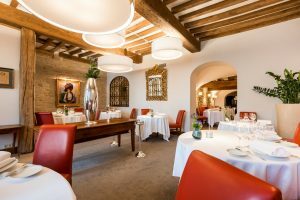 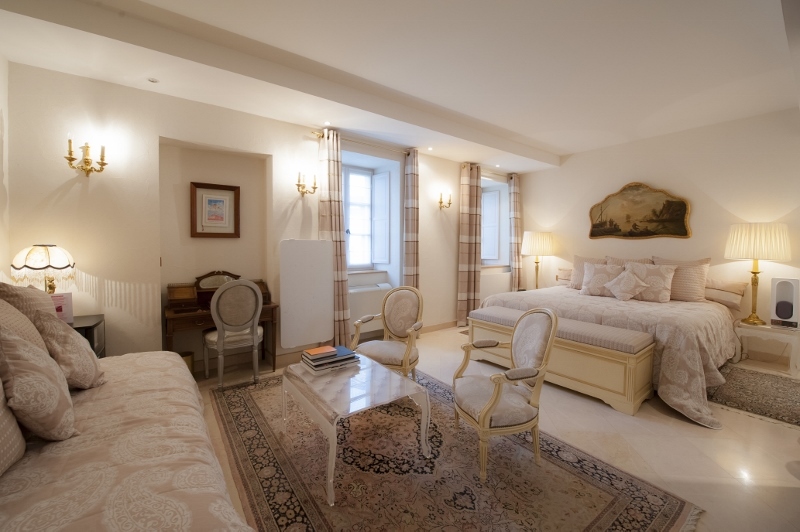 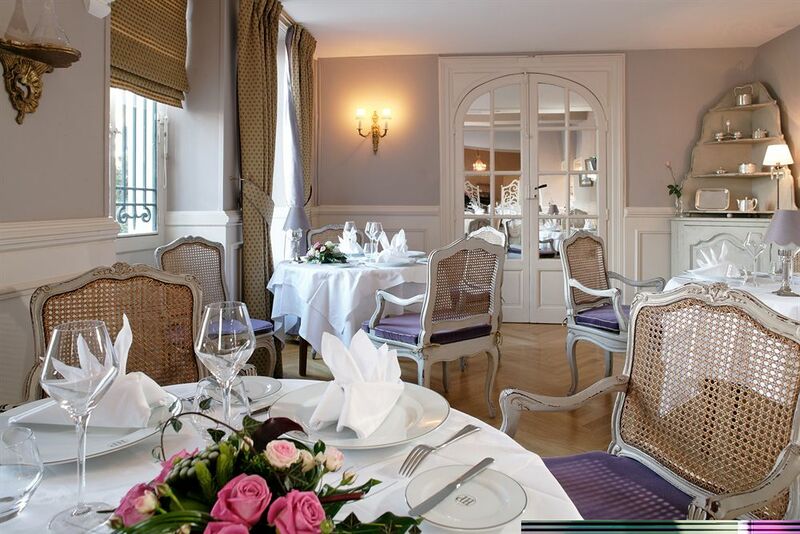 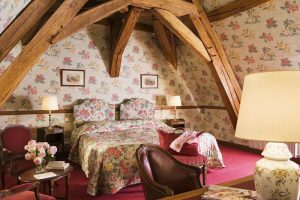 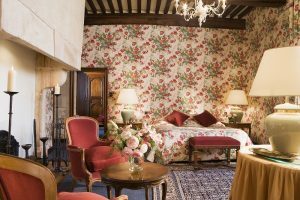 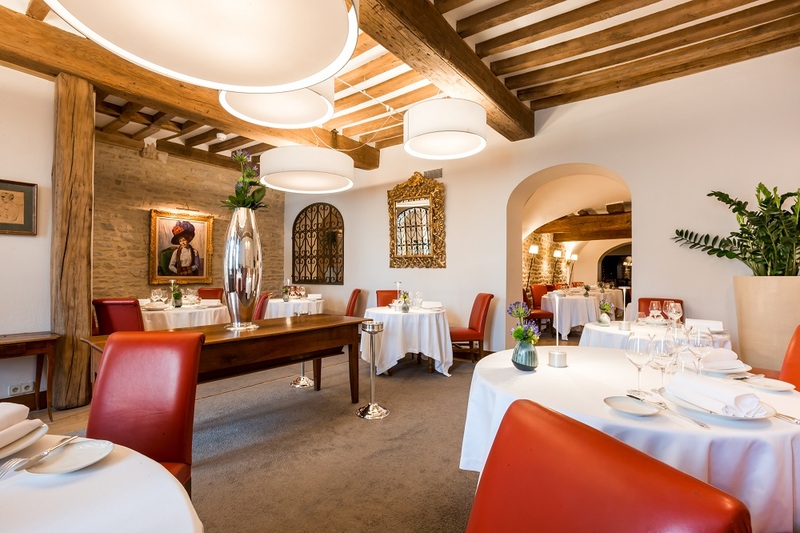 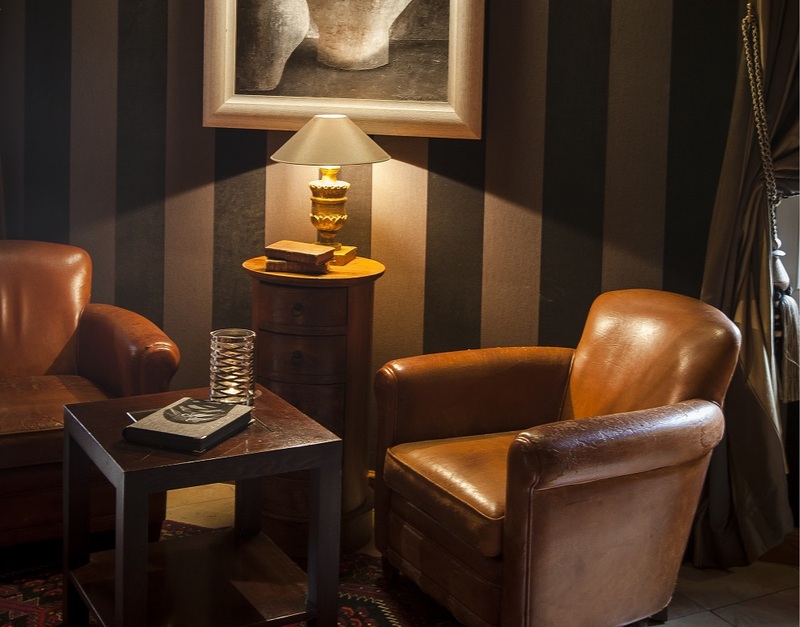 Set in the heart of the city, l’Hôtel de Beaune is an exceptional luxuriously restored XIXth century house. 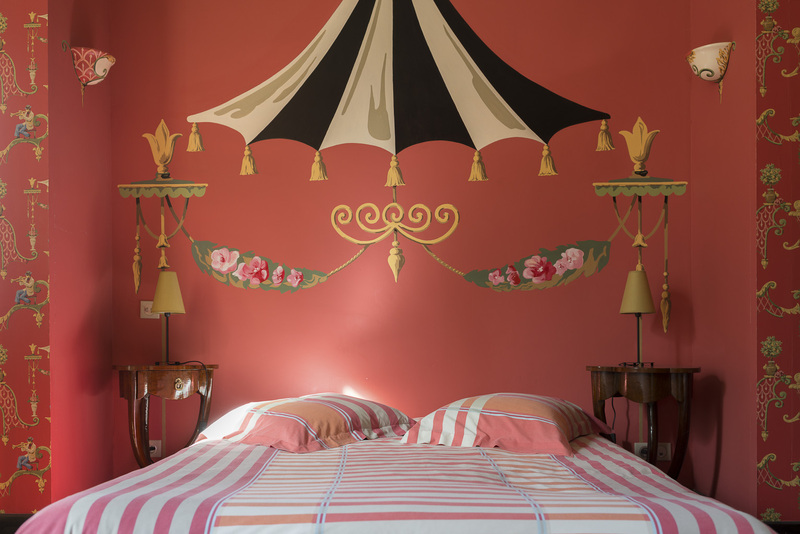 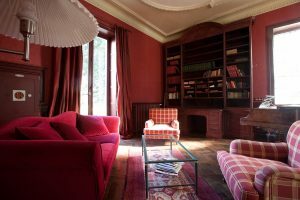 Hervé GABARD presents the charms of his Burgundy home where you will be enticed by the character of every single one of its rooms. 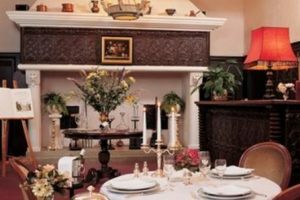 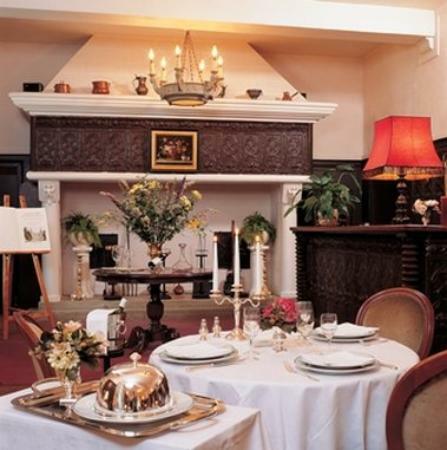 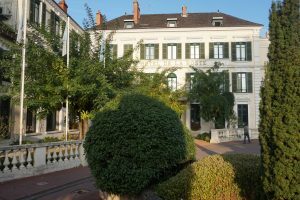 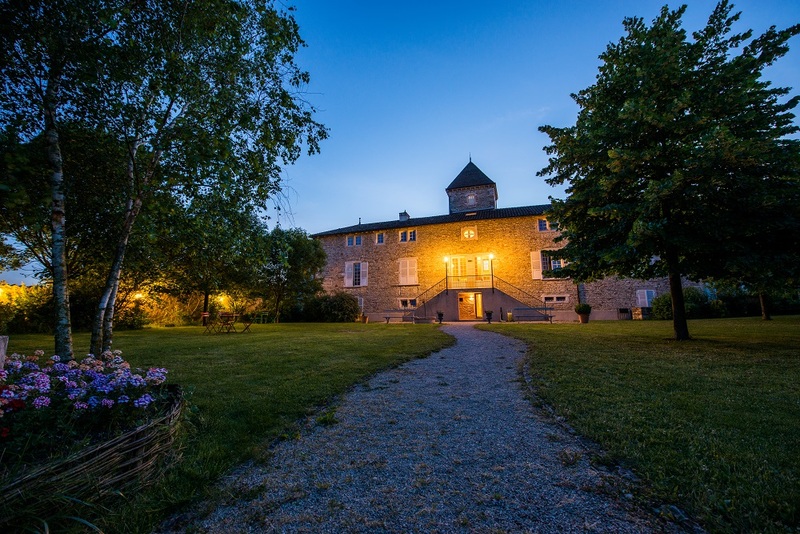 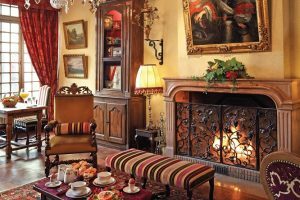 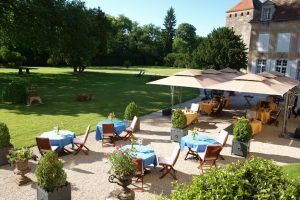 Elisabeth and Wilfrid WEBER will open the doors of their delightful XIXth century manor-house where warmth and conviviality are the keywords for a successful stay. Used to be a landowner`s house, La Villa Louise has been turned into a cosy place where the serenity and pleasure of life prevail. 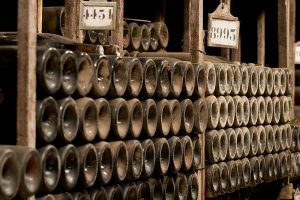 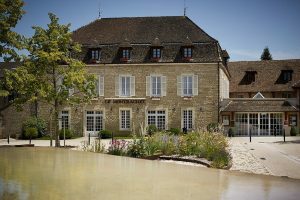 You can watch the grapes ripen as you comfortably sit in the grounds or you can taste the delicious wines from the cellars of M. and Mme PERRIN. 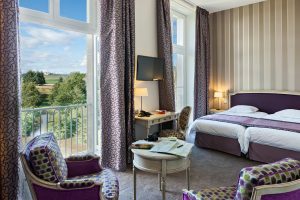 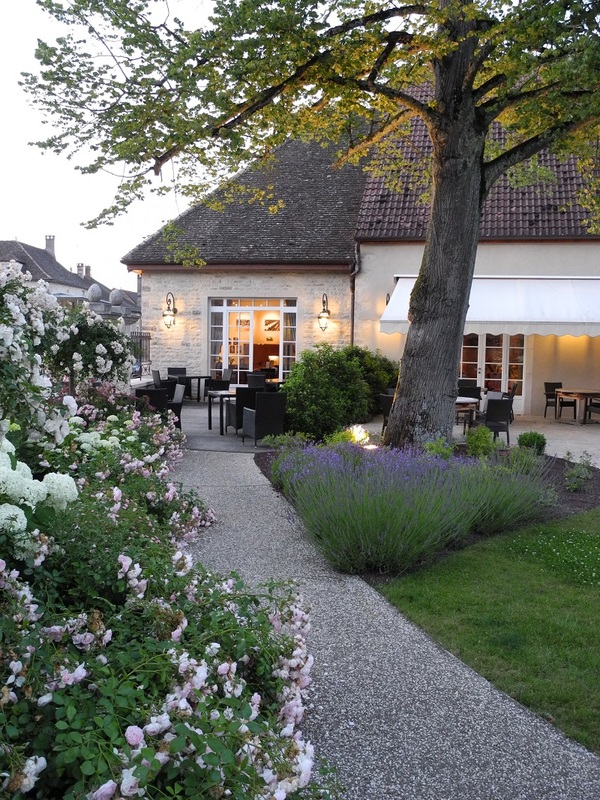 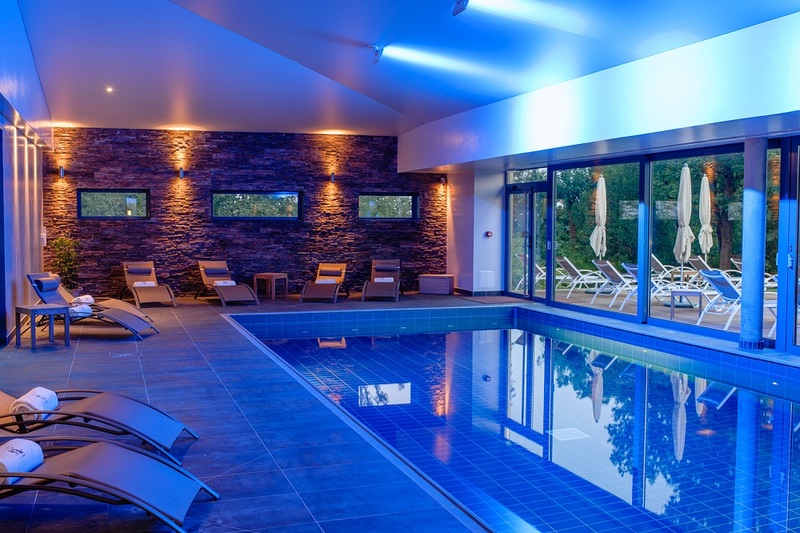 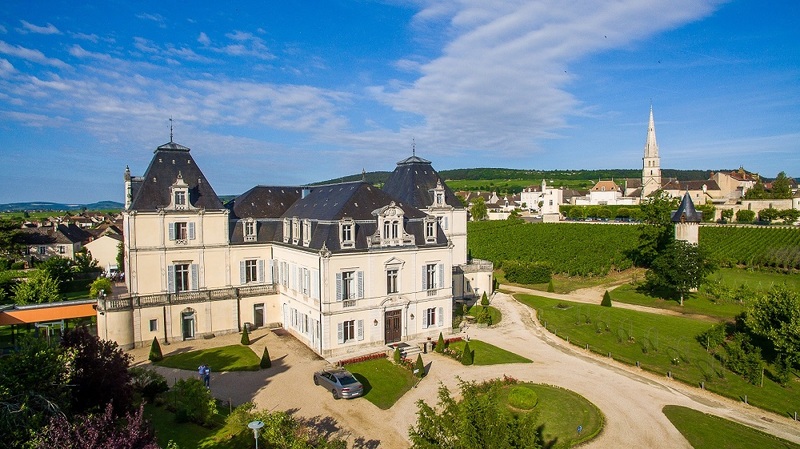 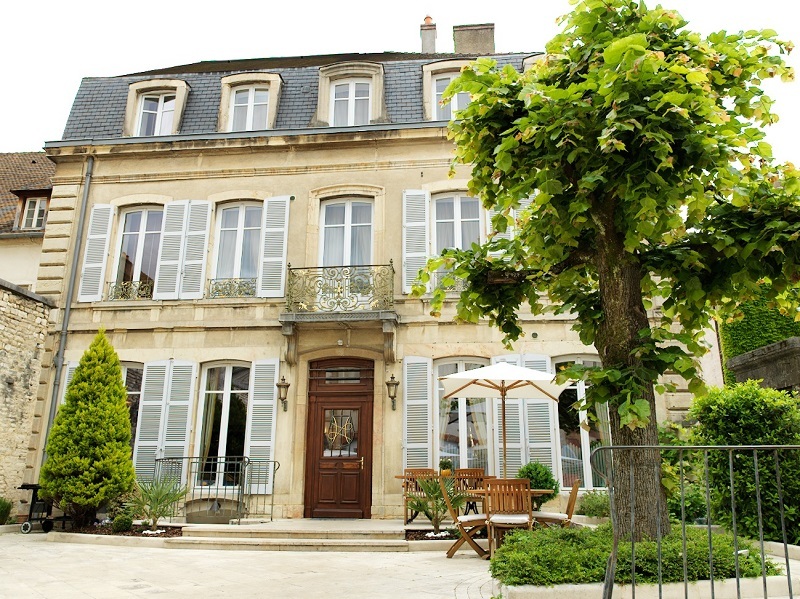 This luxury hôtel is nestled in the midst of the vines of Meursault. 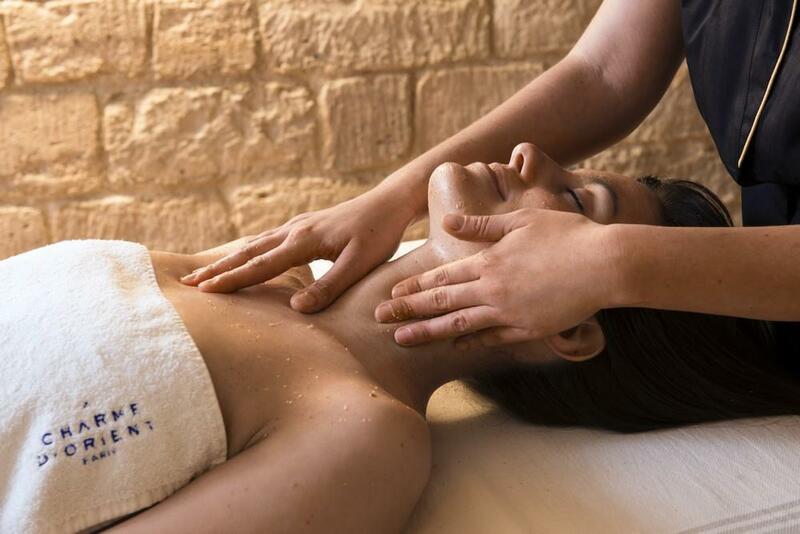 Unique in its type, la Cueillette is a véritable cosy and authentic cocoon, proposing original and unusual body care through the Fruititherapie spa. On the edge of the Place des Marronniers, Le Montrachet displays its bright façade covered in magnificent geraniums with their dazzling purple. 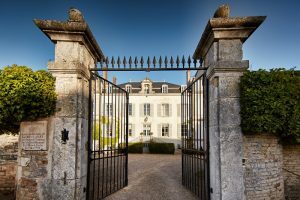 This is a perfect way to enter the home which Thierry and Suzanne GAZAGNES have succeeded in making particularly attractive. 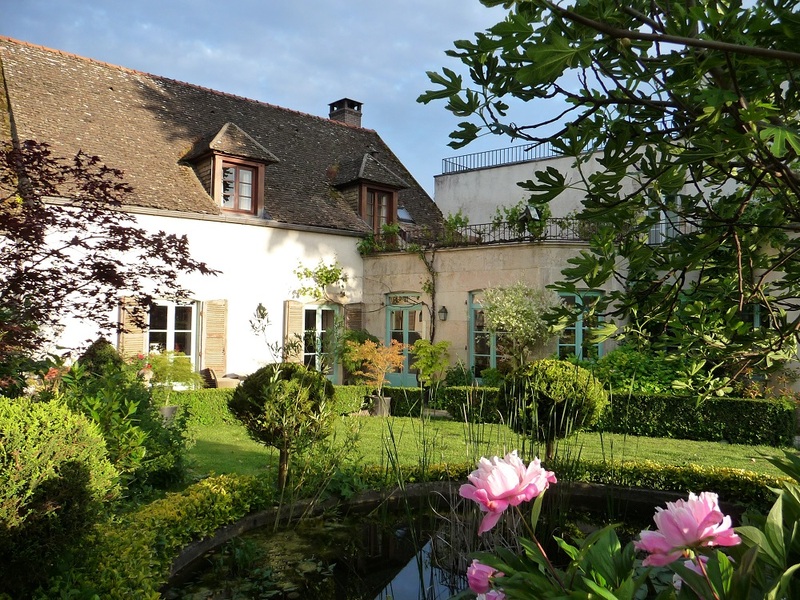 This is a delightful six-bedroom hôtel designed and run by its owner , Suzanne. 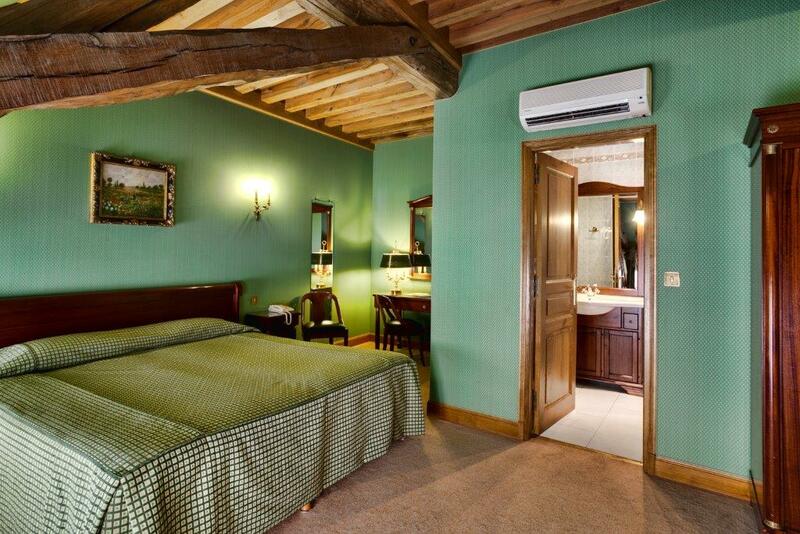 Its charming interior and picturesque setting make it feel like a home from home. 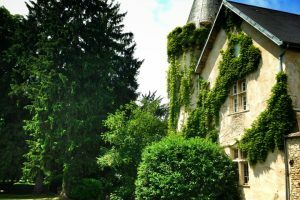 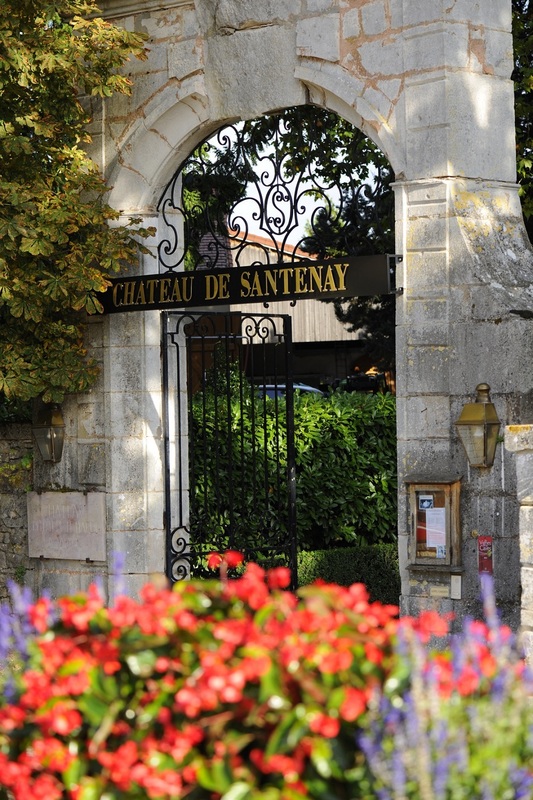 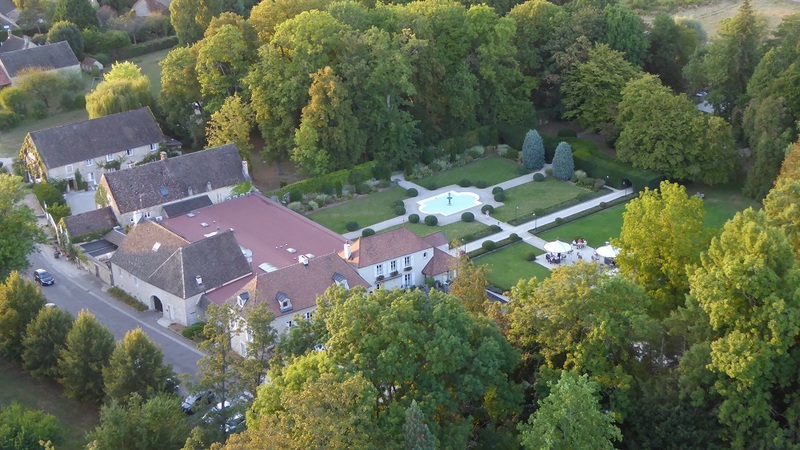 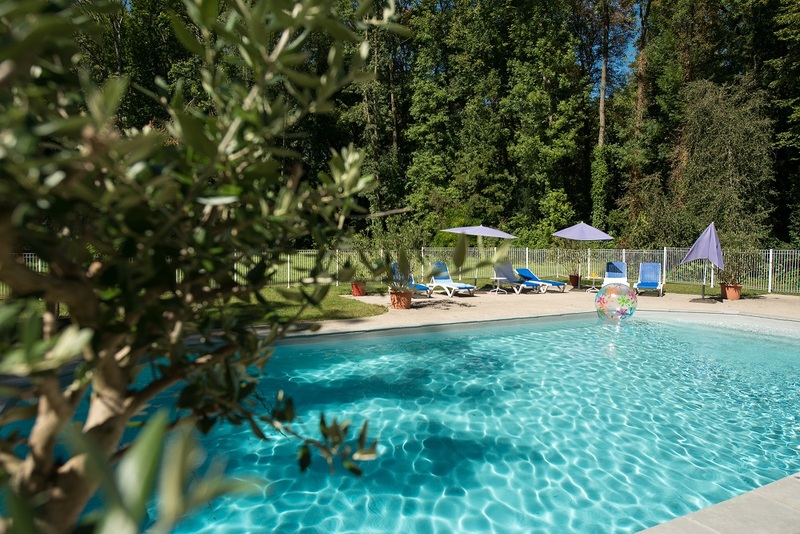 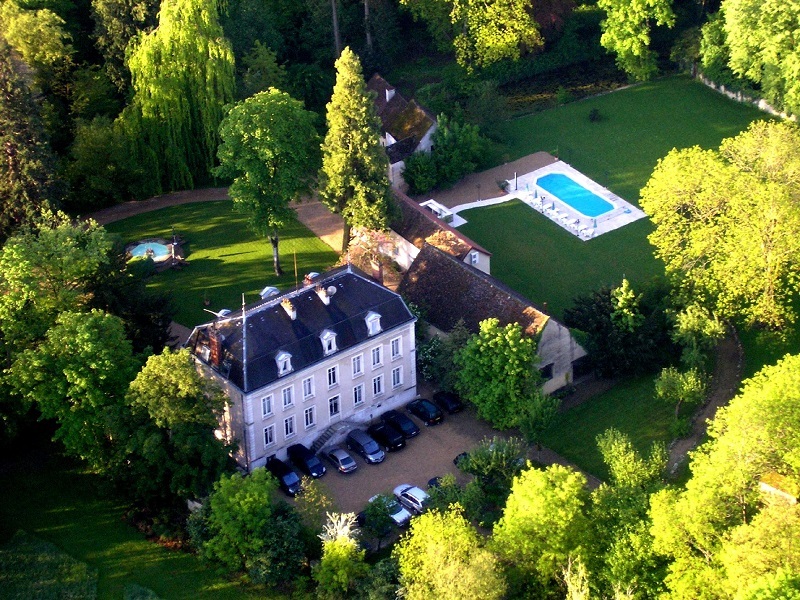 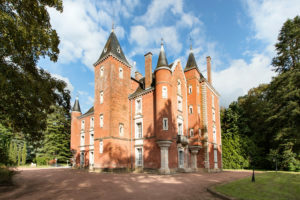 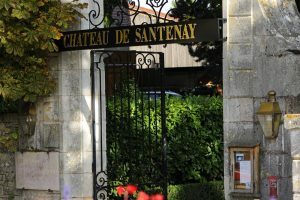 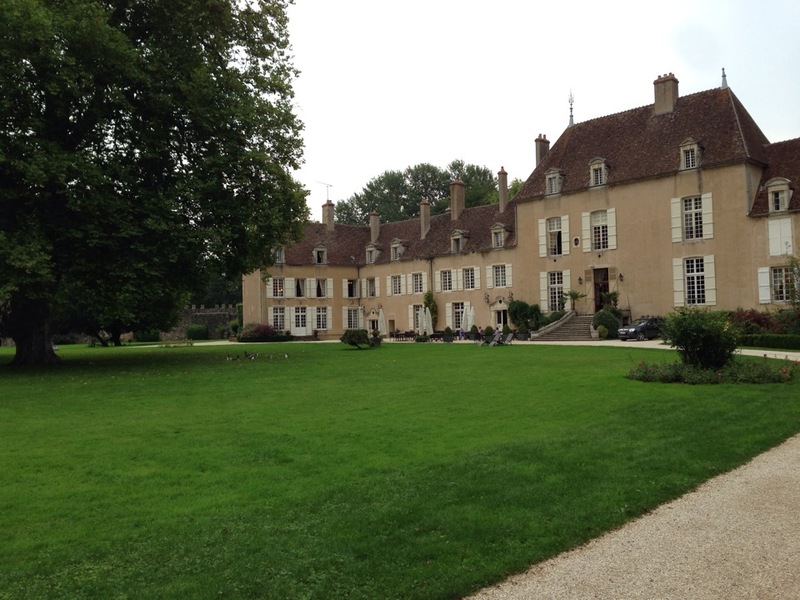 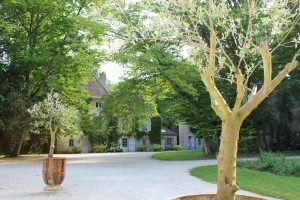 Located between Dijon and Beaune, on the banks of the canal de Bourgogne and not far from the Burgundy vineyards, the Château de Sainte-Sabine is nestled in a charming park. 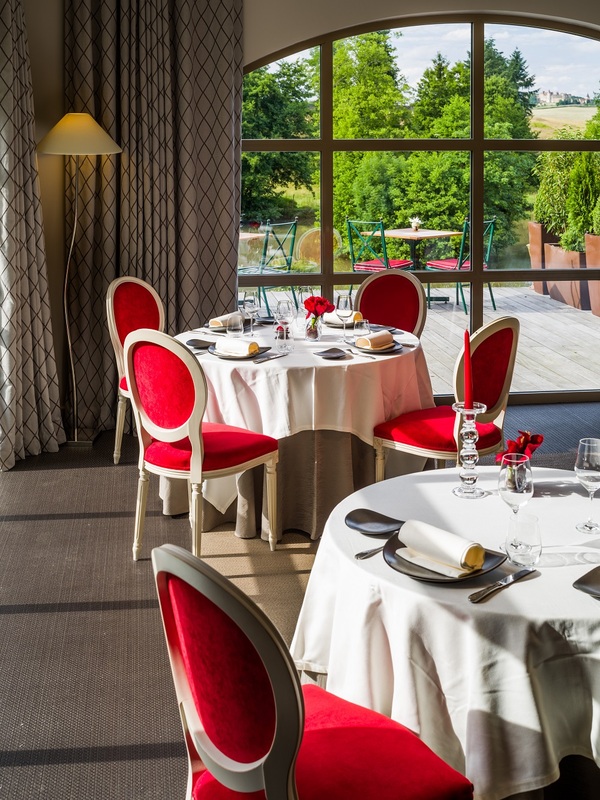 The restaurant enjoys a panoramic view over the surrounding valley and the médiéval village of Châteauneuf-en-Auxois. 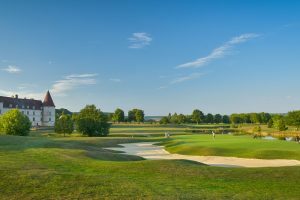 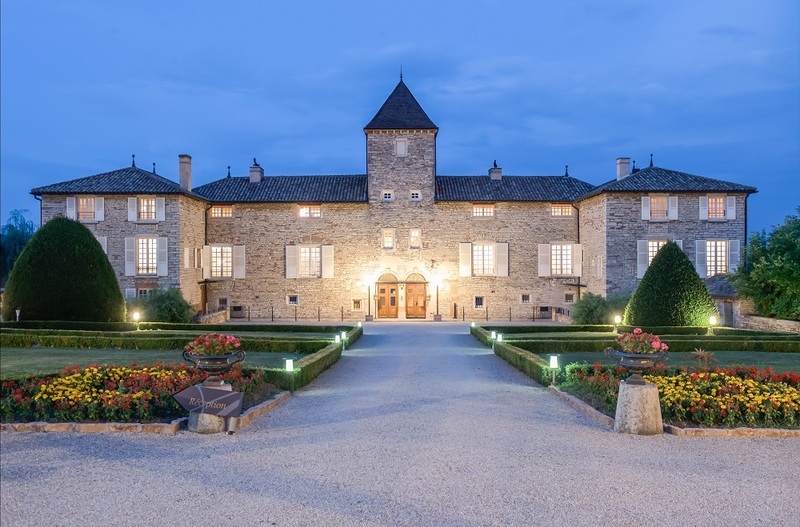 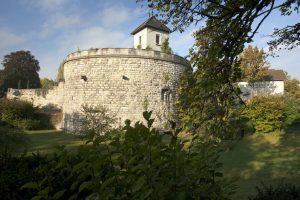 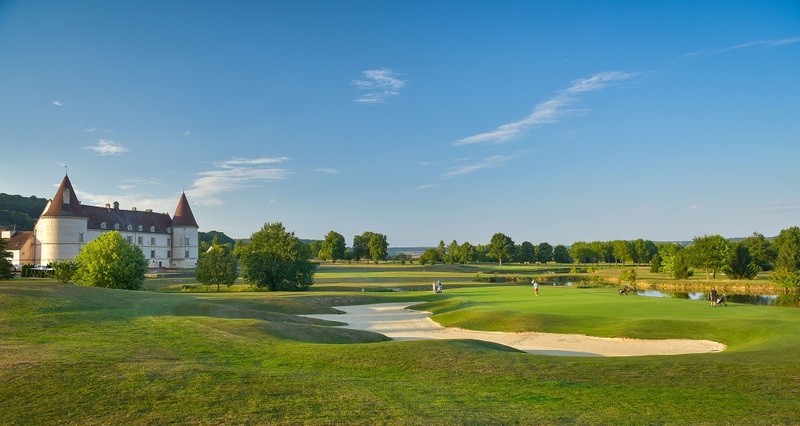 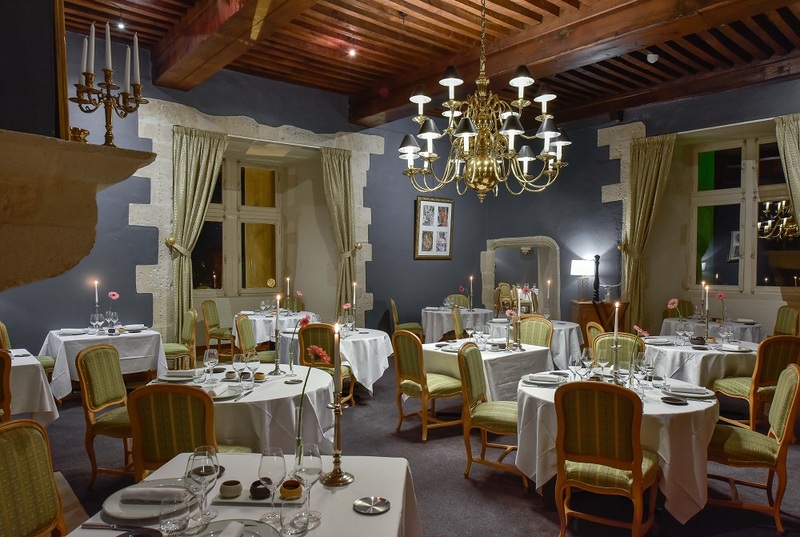 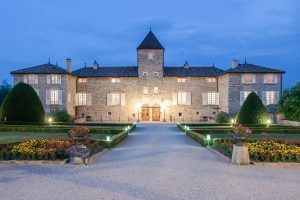 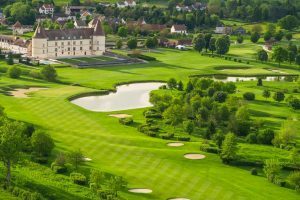 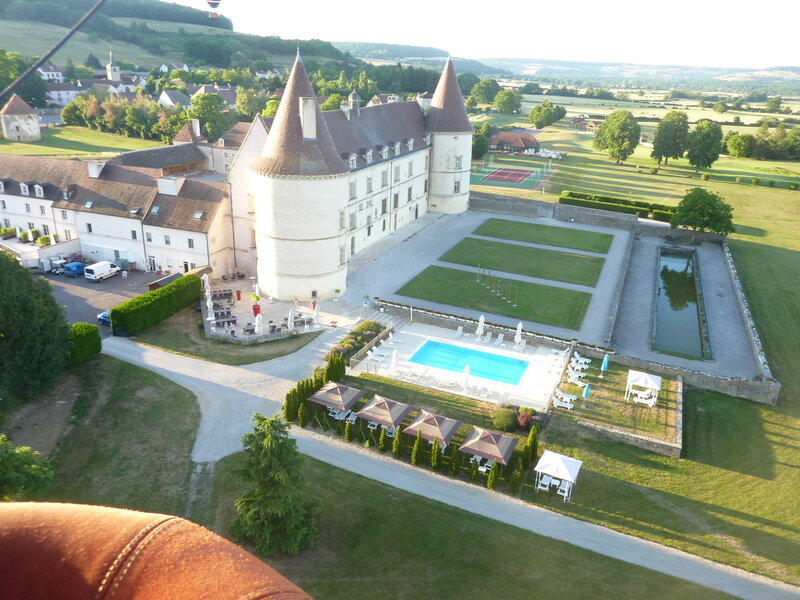 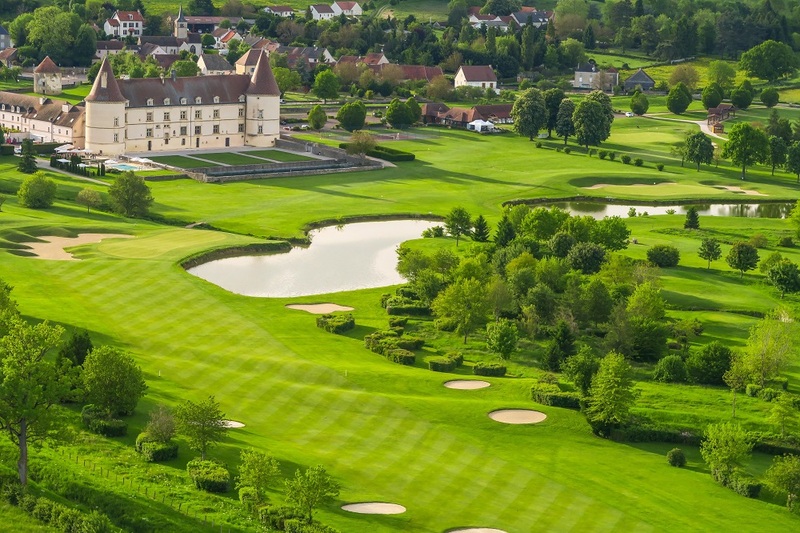 The property, a 16th century medieval fortress, classified as a historical monument in 1930, completely renovated in 1987 was opened as a four-star hôtel and 18-hole golf course in 1990. 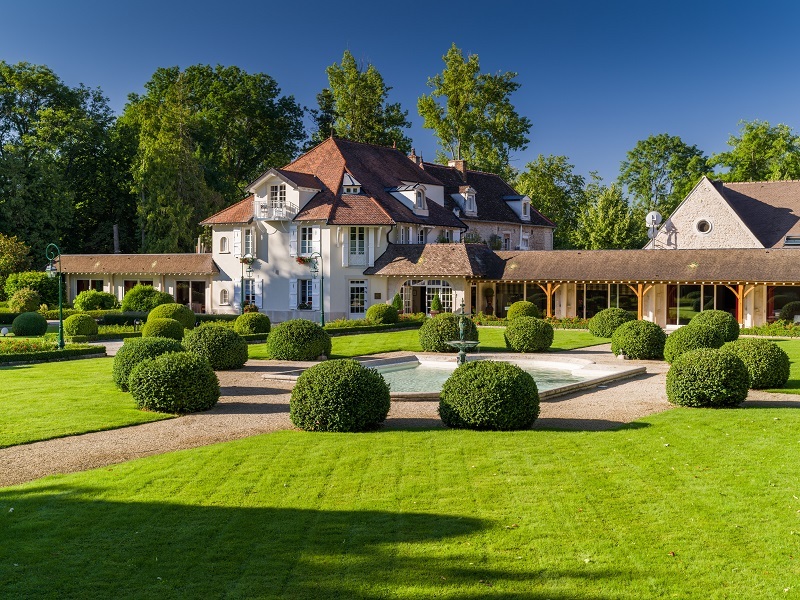 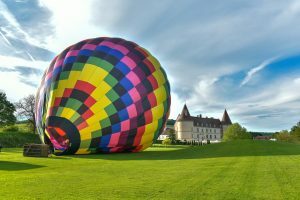 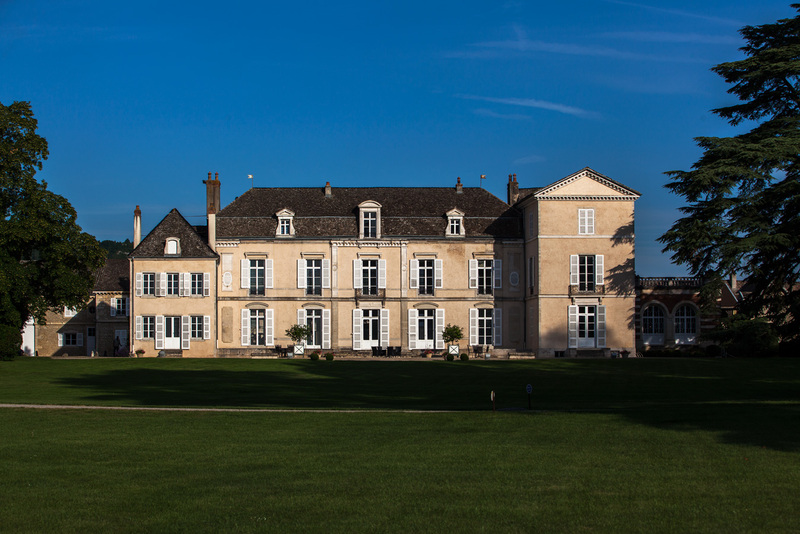 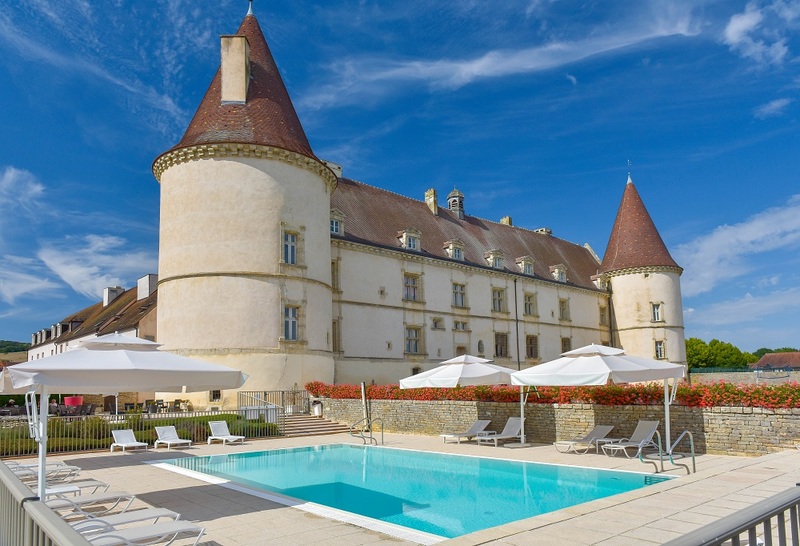 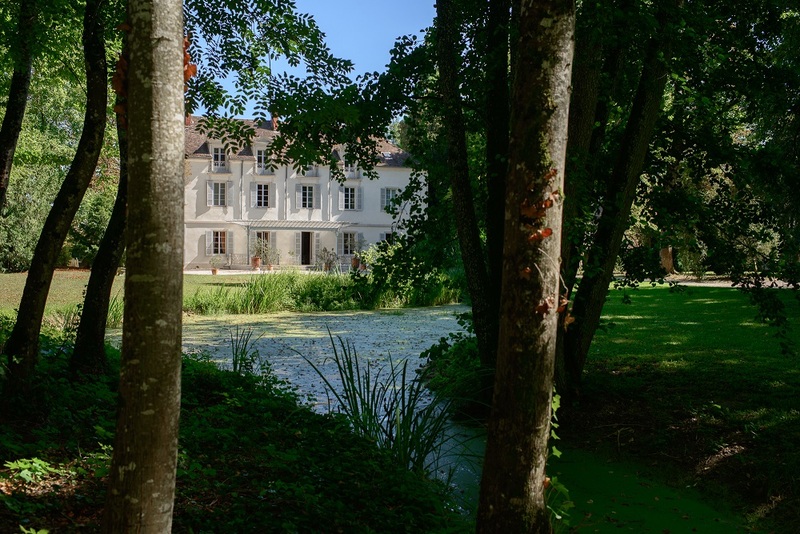 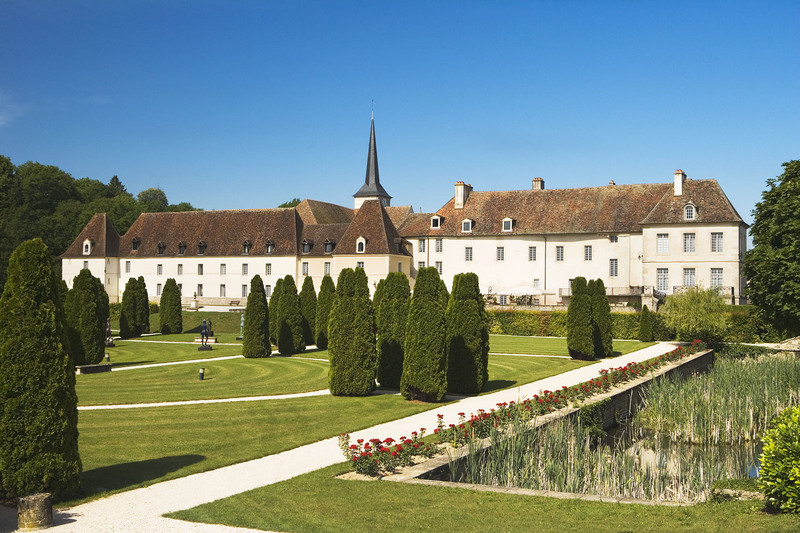 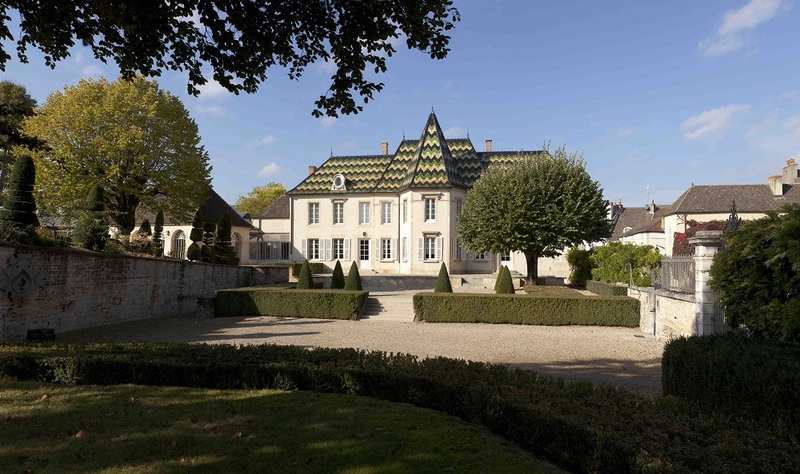 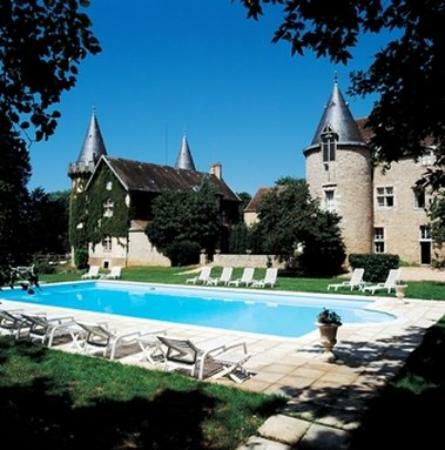 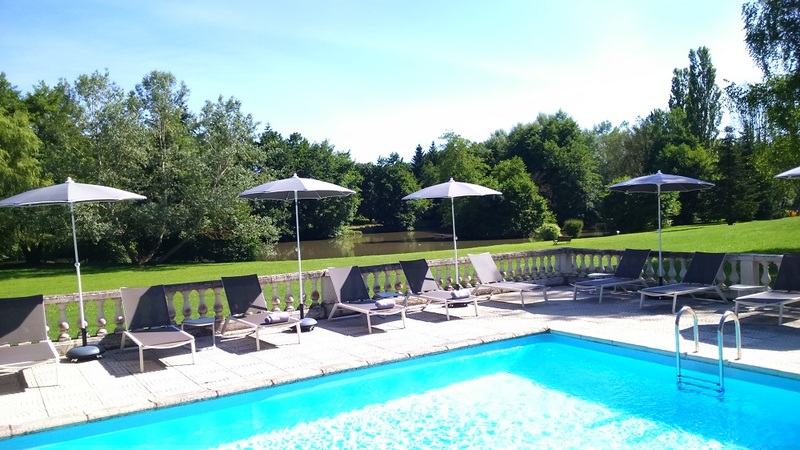 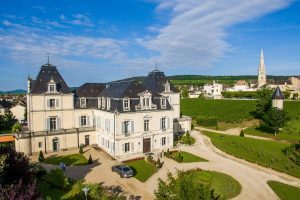 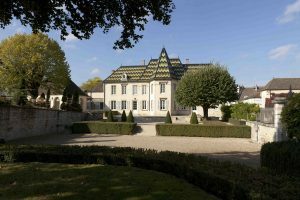 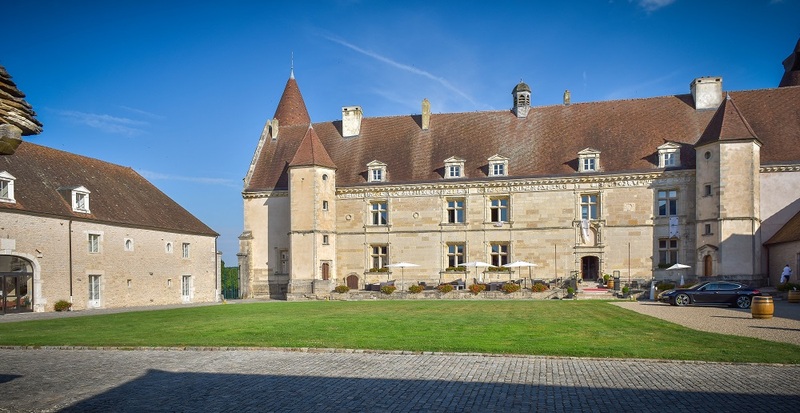 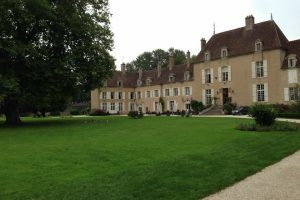 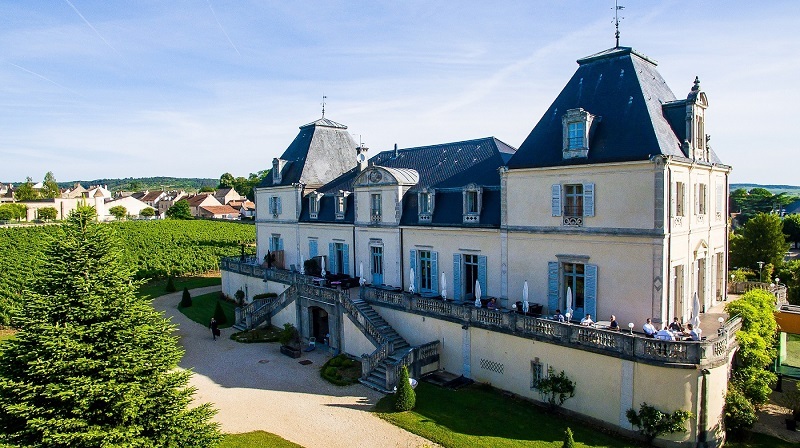 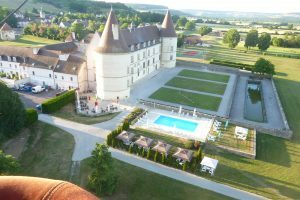 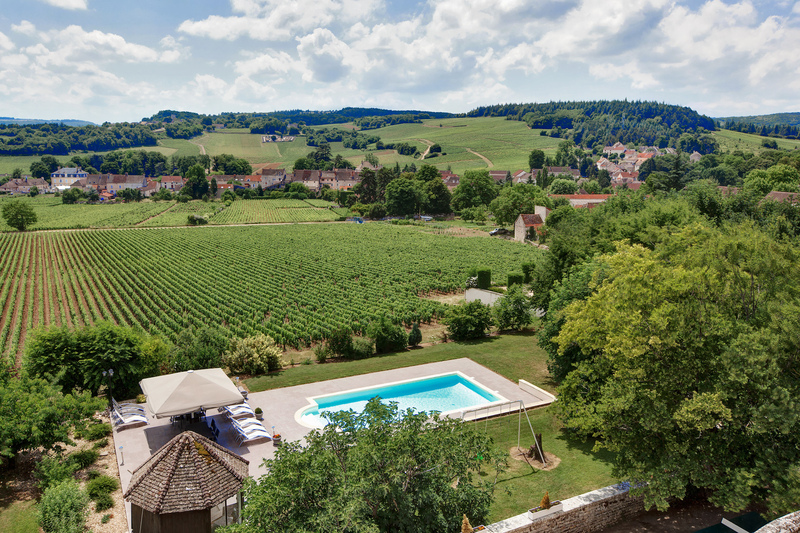 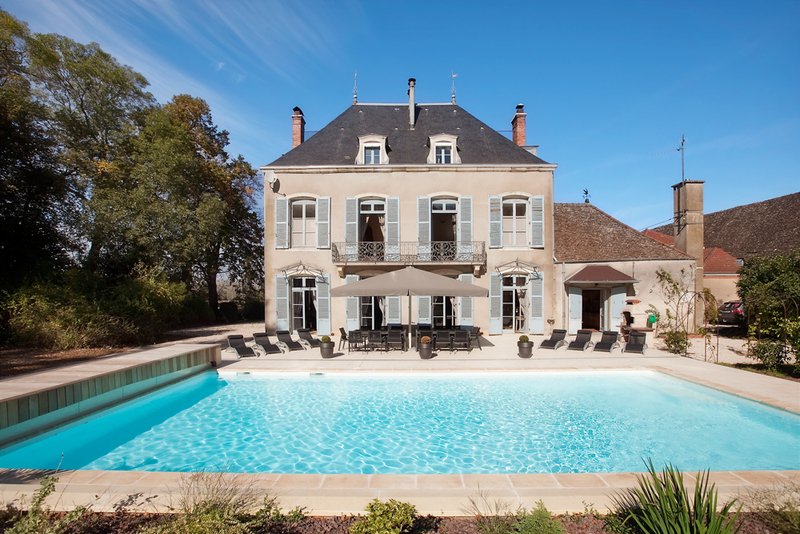 In the heart of Burgundy, le Château de Chailly is located in a beautiful setting in the middle of the countryside not very far from the Burgundy vineyards. 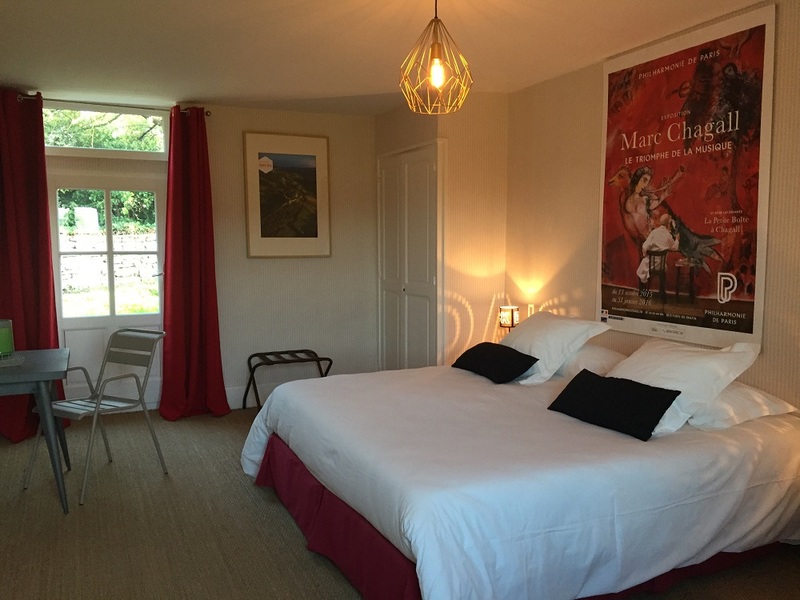 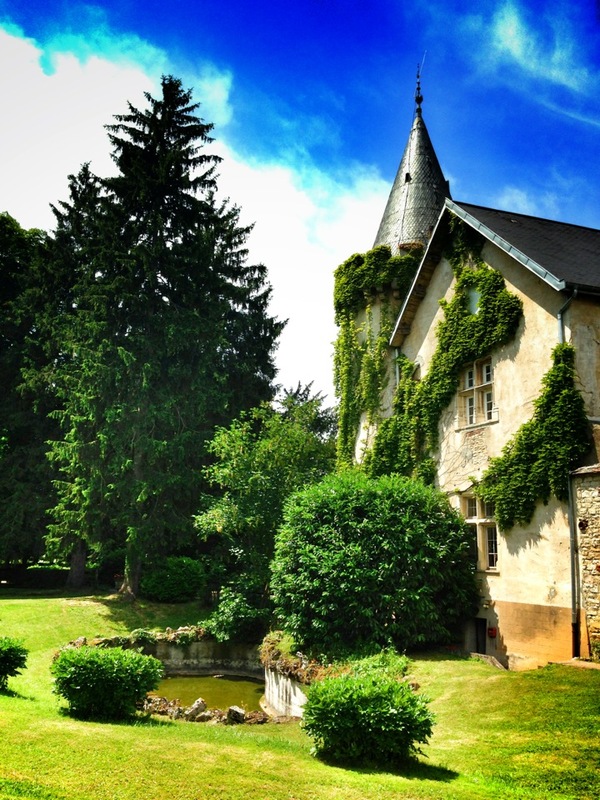 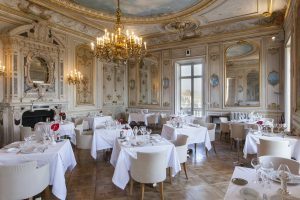 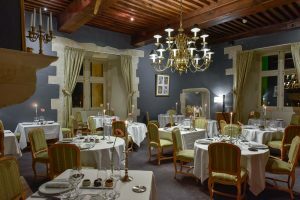 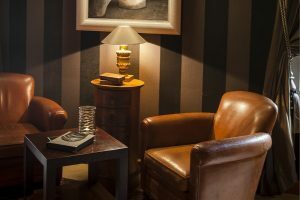 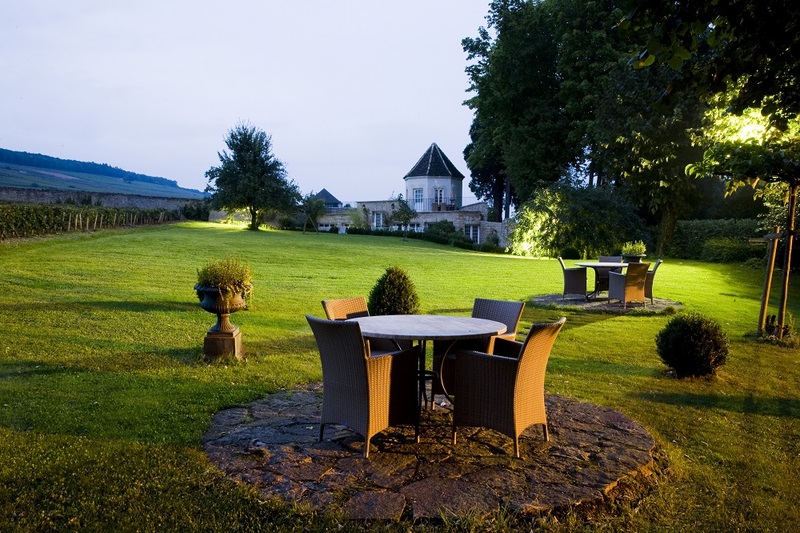 A magnificent hôtel, a gourmet restaurant nestled in the heart of the Bourgogne région, at the entrance to the Nature Park of Morvan : this is a wonderful place to experiment a romantic stay. L’Hostellerie du Château de Bellecroix will take you on the trail of the knights of Malta . 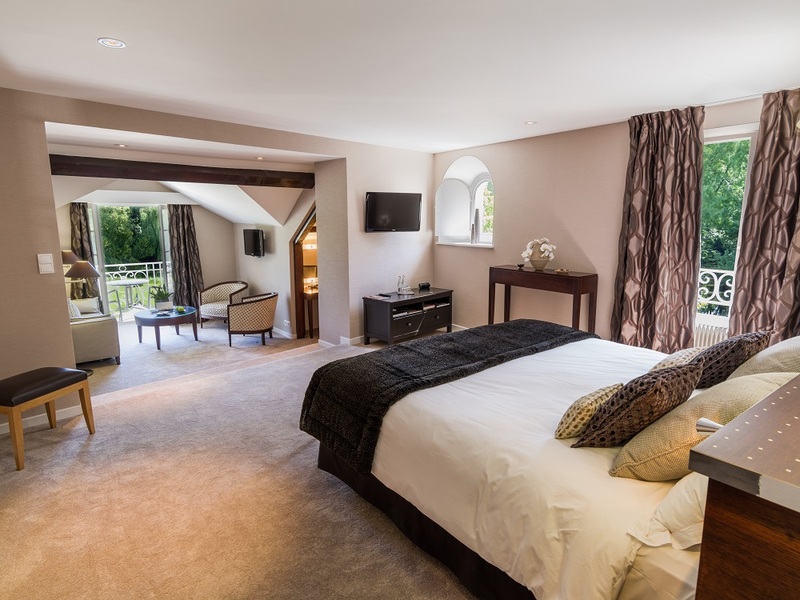 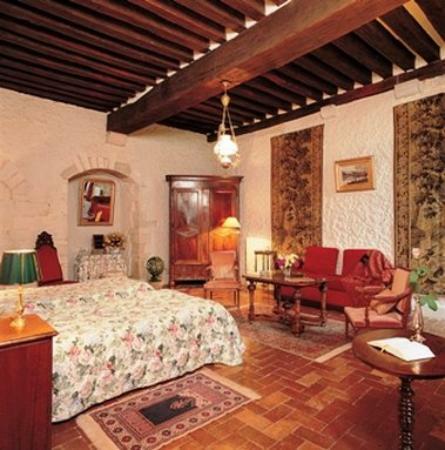 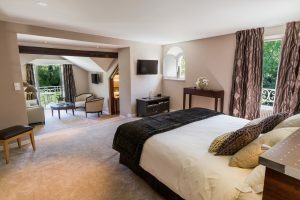 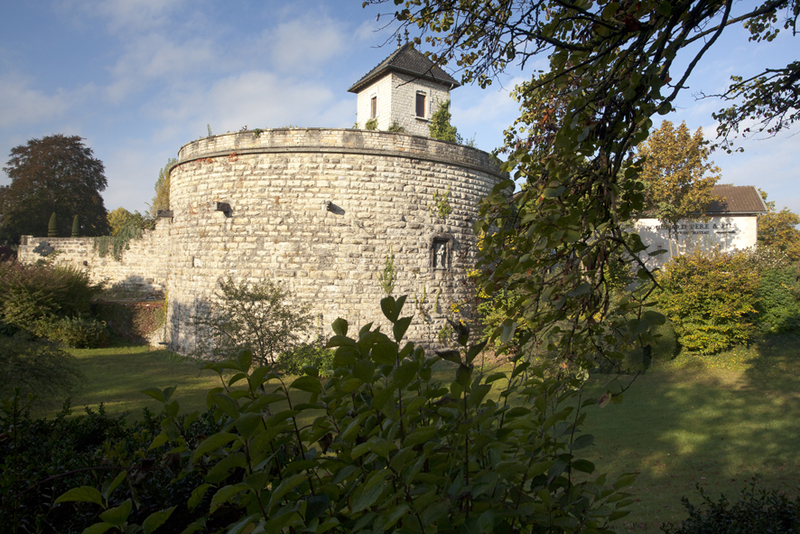 Among the battlements and medieval timbers, your stay is bound to be comfortable and restful. 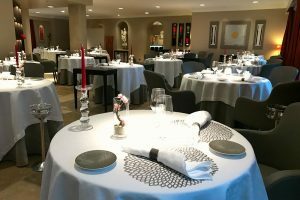 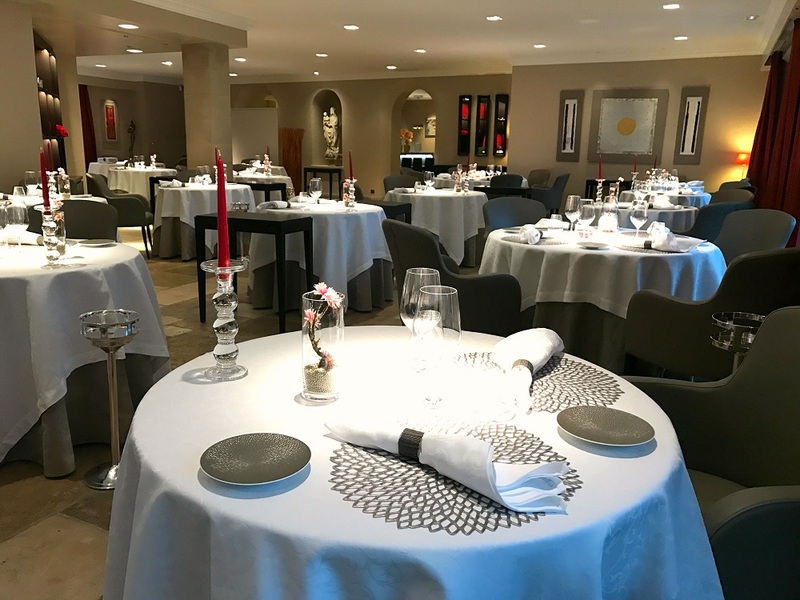 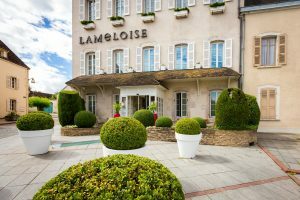 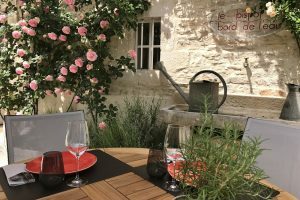 A remarkable reception combined with the elegance of the setting and the refinement of the food make La Maison Lameloise a memorable stopping-off point; it is among the finest in Burgundy. 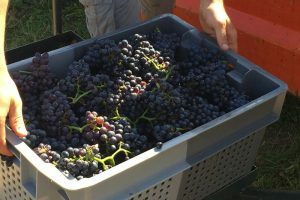 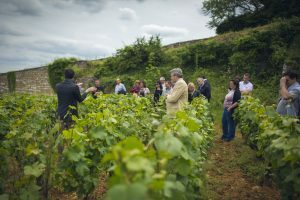 Au milieu des vignes, vous découvrirez un établissement accueillant. 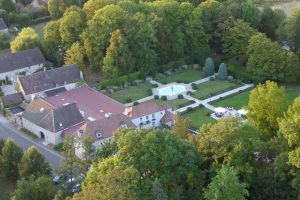 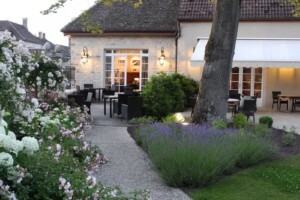 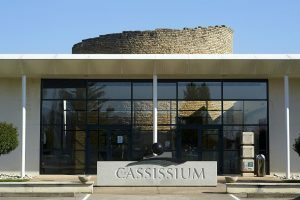 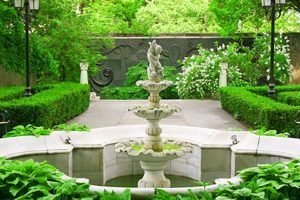 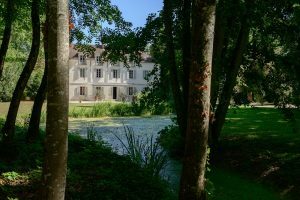 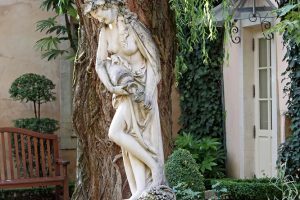 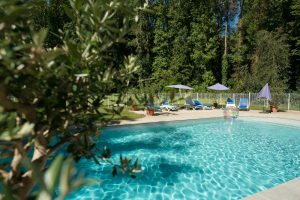 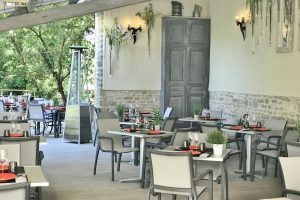 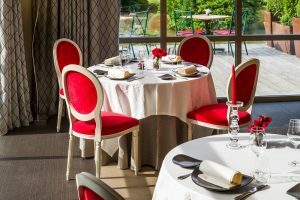 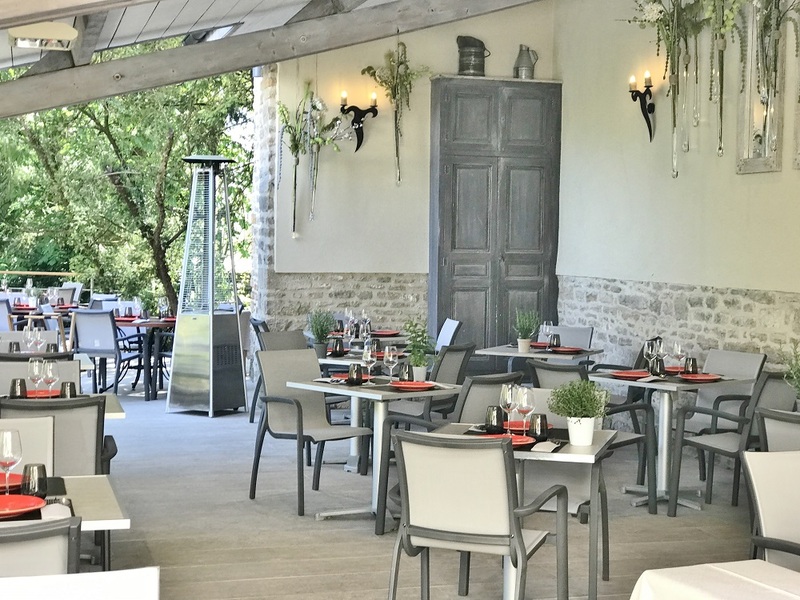 Vous serez charmé par le parc à la française, le jardin à l’anglaise, la piscine où vous délasser après une excursion au milieu du vignoble et une table gastronomique pour reprendre des forces. 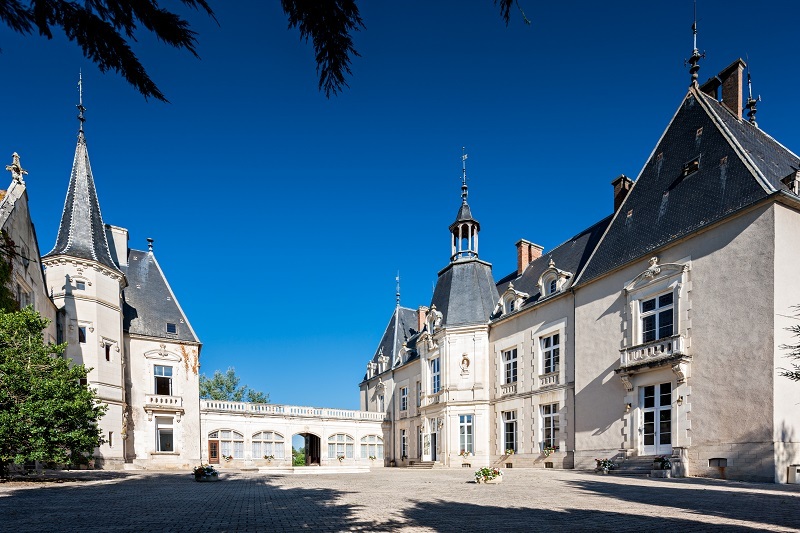 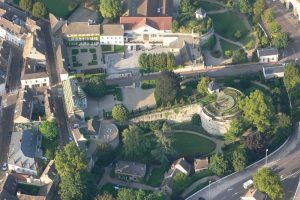 Nearby the city of Beaune, discover the Château de Chorey, elegant mansion built between the 13th ant 17th century and surrounded by a beautiful park. 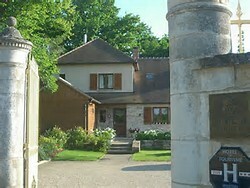 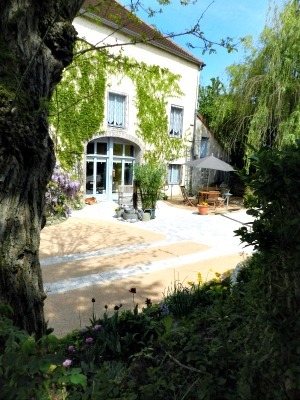 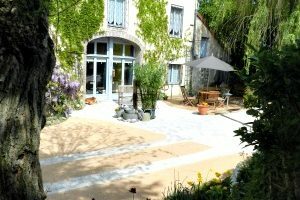 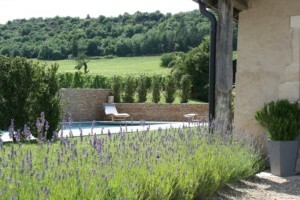 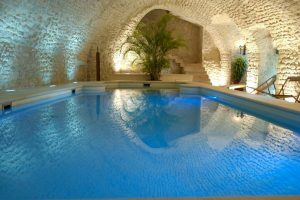 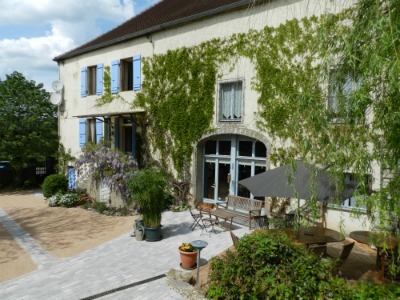 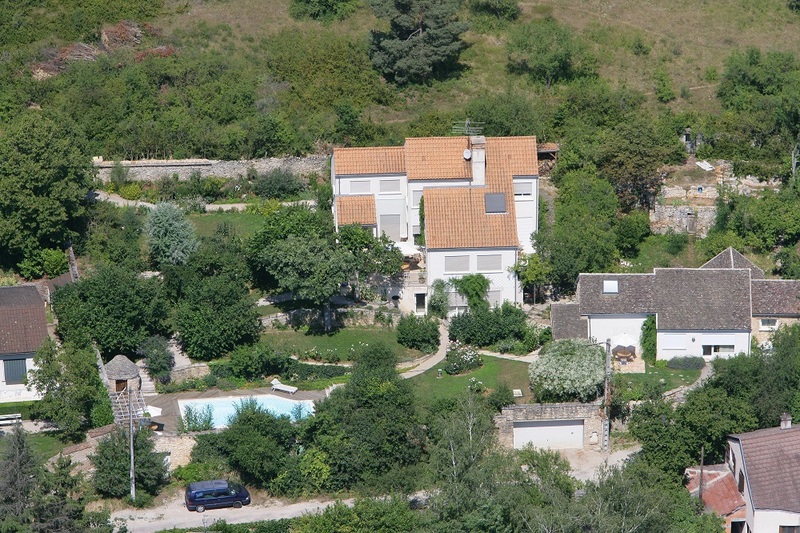 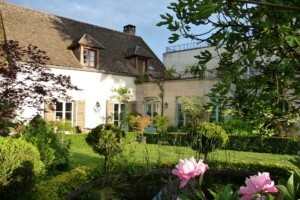 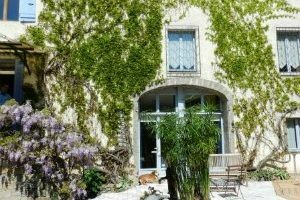 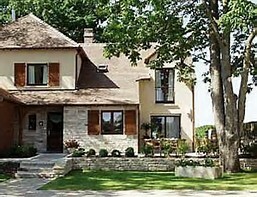 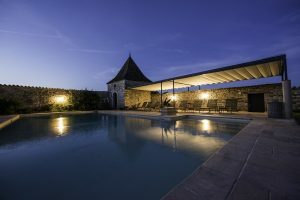 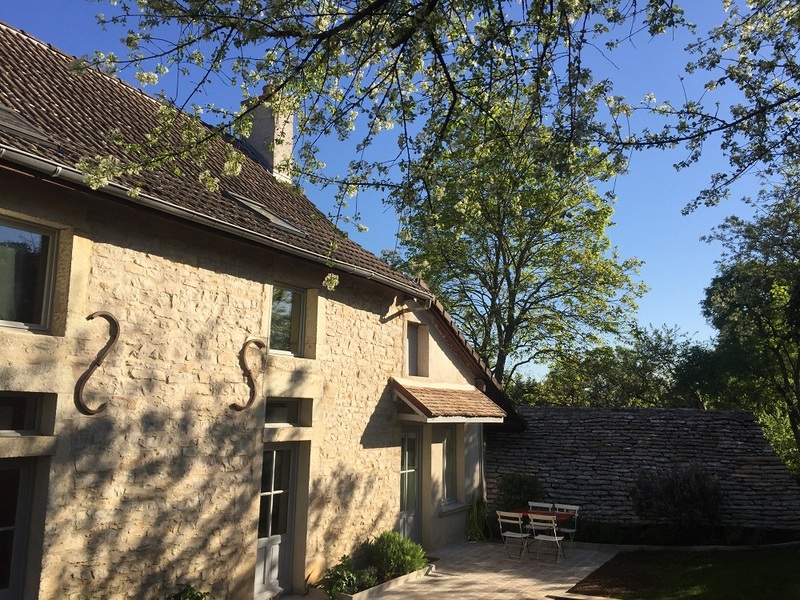 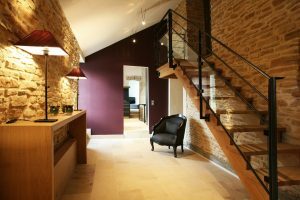 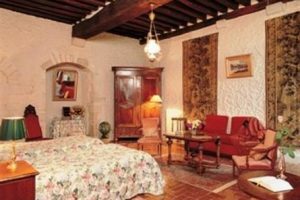 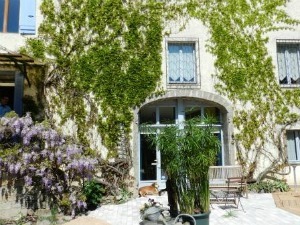 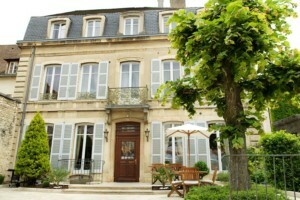 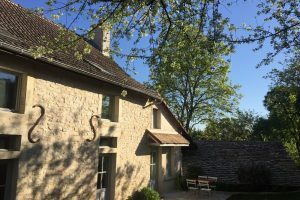 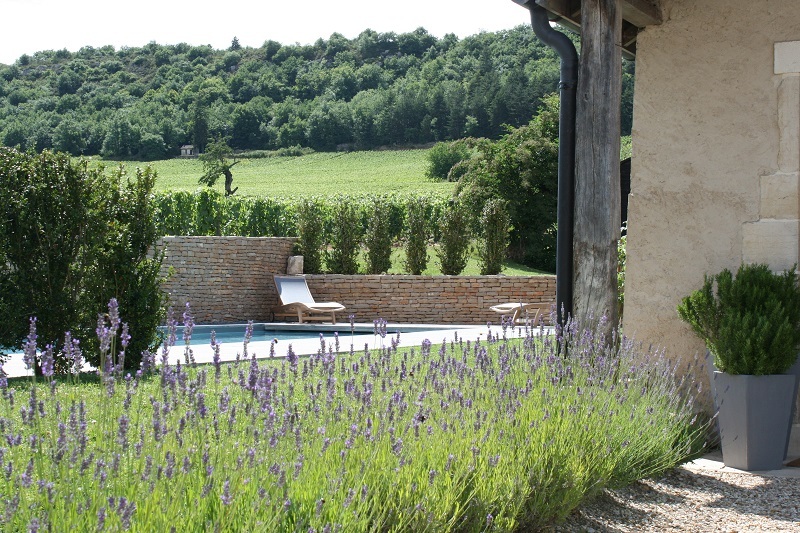 The house is ideally located at the top of the hill overlooking the city of Beaune. 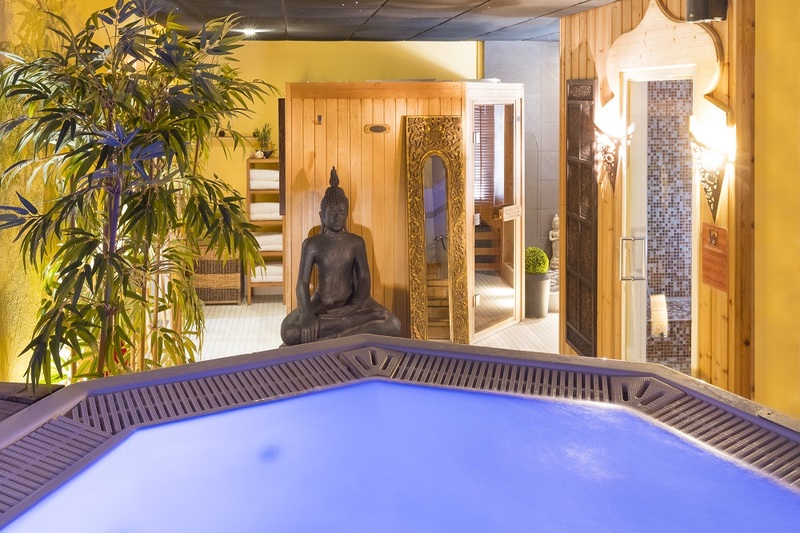 In this little paradise you will experiment serenity and well-beeing. 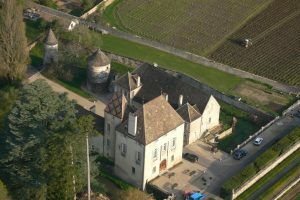 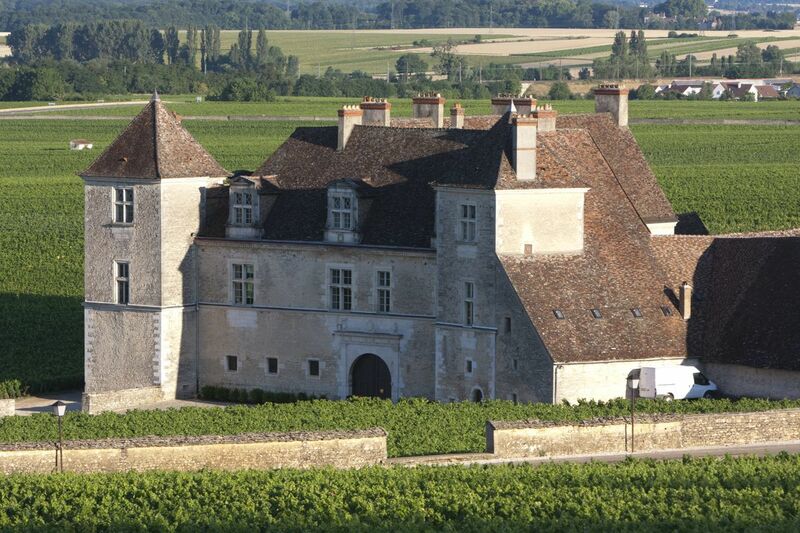 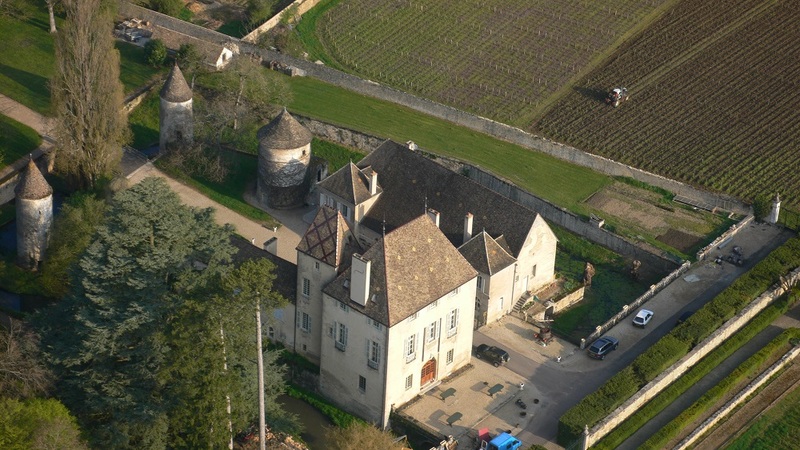 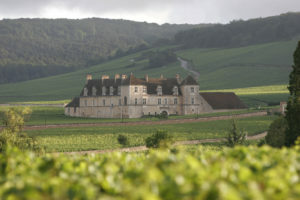 The Château is located nearby the vineyards of Meursault. 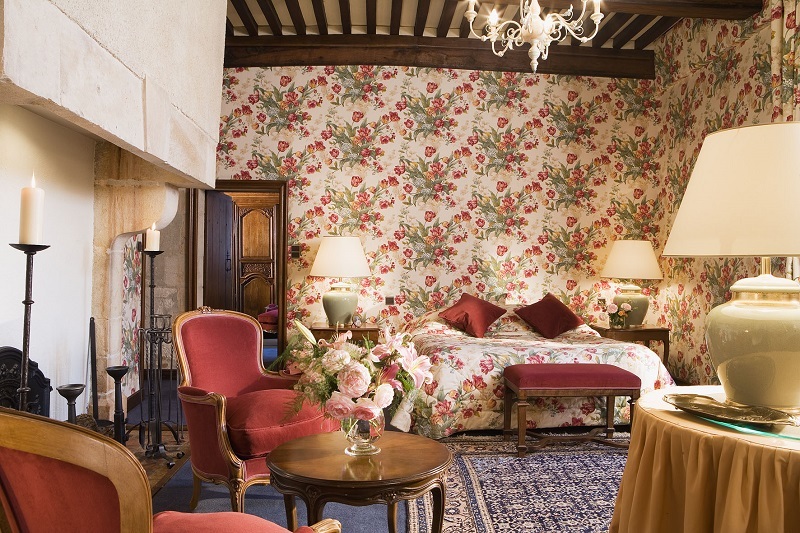 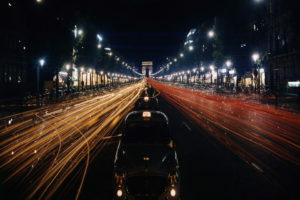 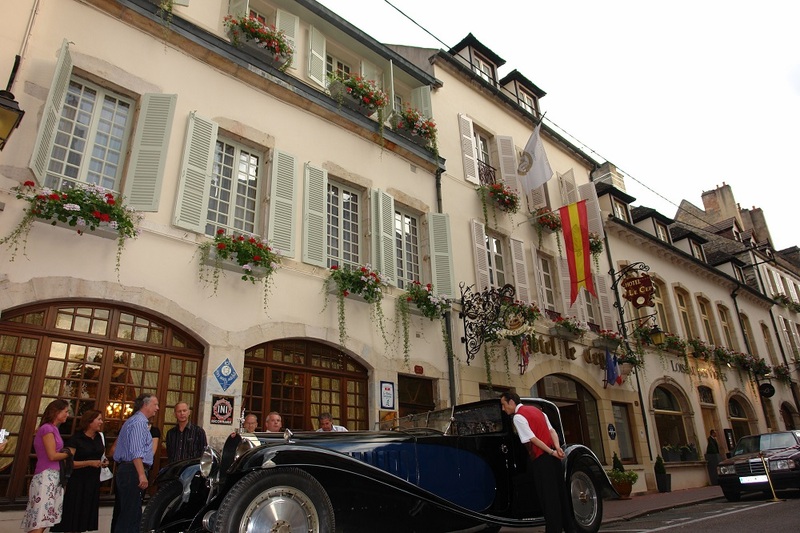 It is an élégant, romantic and charming place, perfect base to discover the charm of Burgugndy. 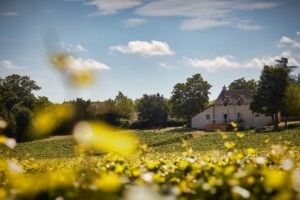 In the heart of Côte de Beaune vineyards, the Hameau de Blagny is overlooking the prestigious vineyards of Puligny-Montrachet and Meursault 1ercrus. 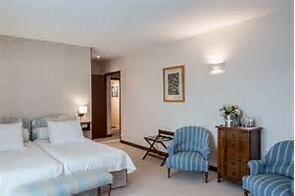 On the Inside, rooms are spacious and comfortable. 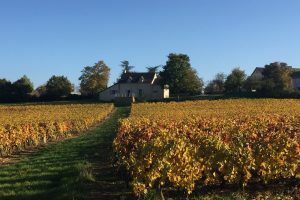 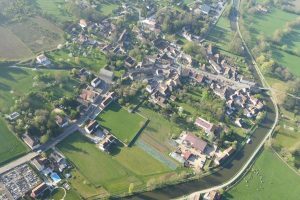 C’est dans une ancienne maison vigneronne en bordure du canal du Centre que vous pourrez profiter du calme de la Côte Chalonnaise et partir à la découverte de la Bourgogne. 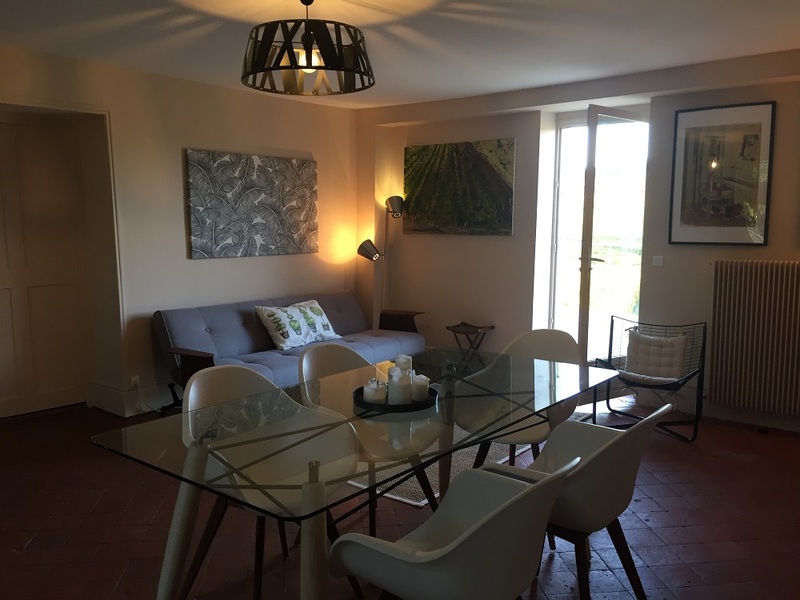 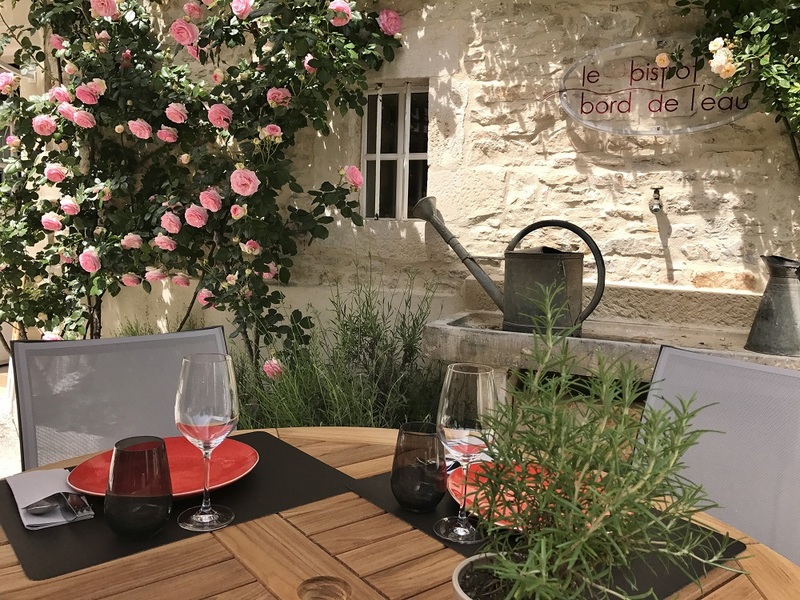 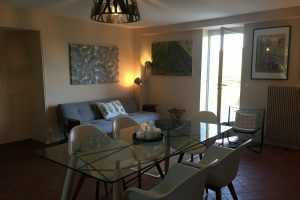 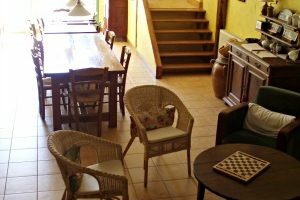 The guest house is located in the heart of the charming village of Mercurey in border of the vineyards, with a large garden : perfect invitation for a pleasant relaxation. 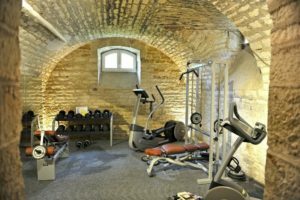 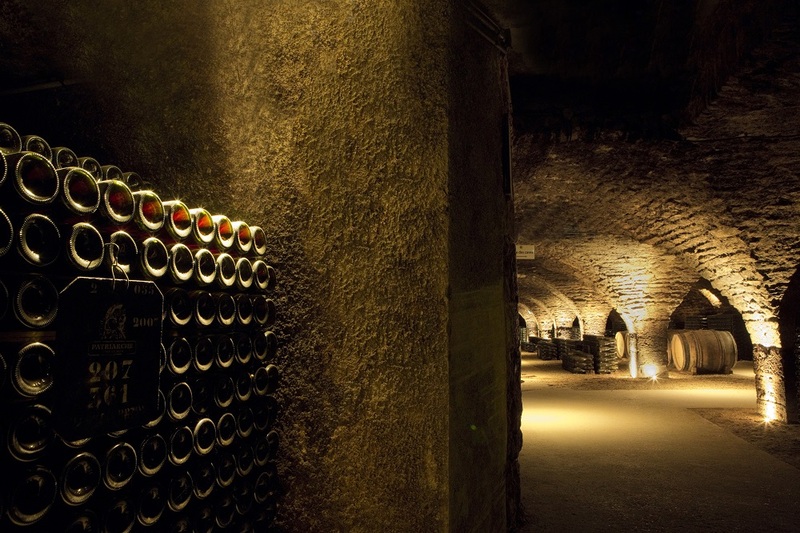 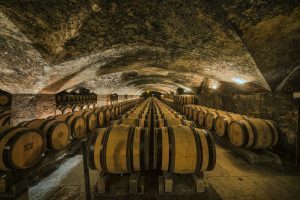 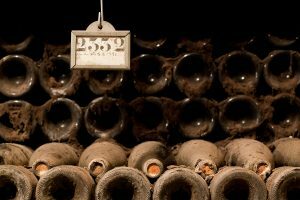 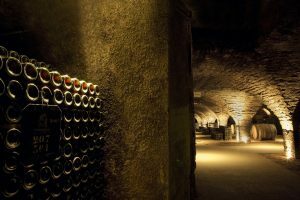 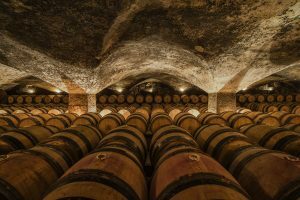 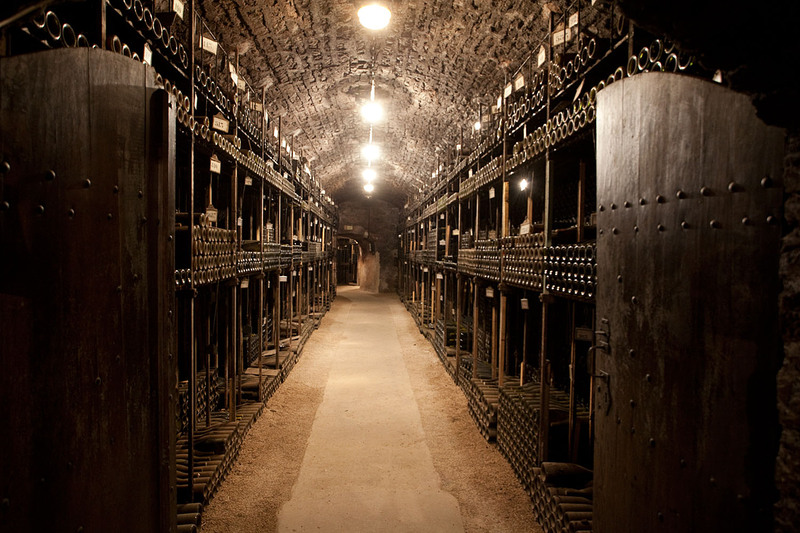 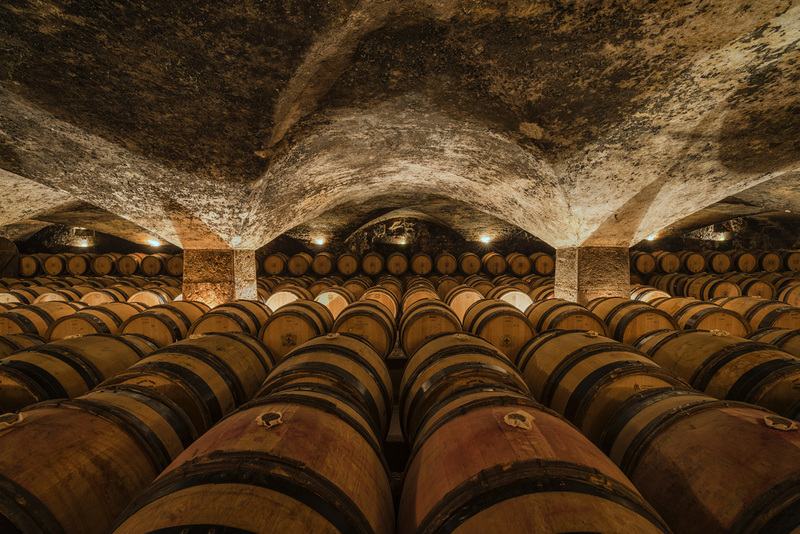 At the heart of the 15th Century royal fortress, built on the remparts of the city of Beaune, discover amazing cellars run deep undergroud beneath the property. 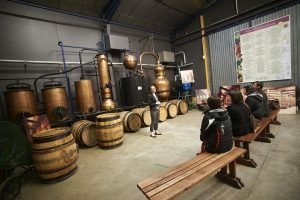 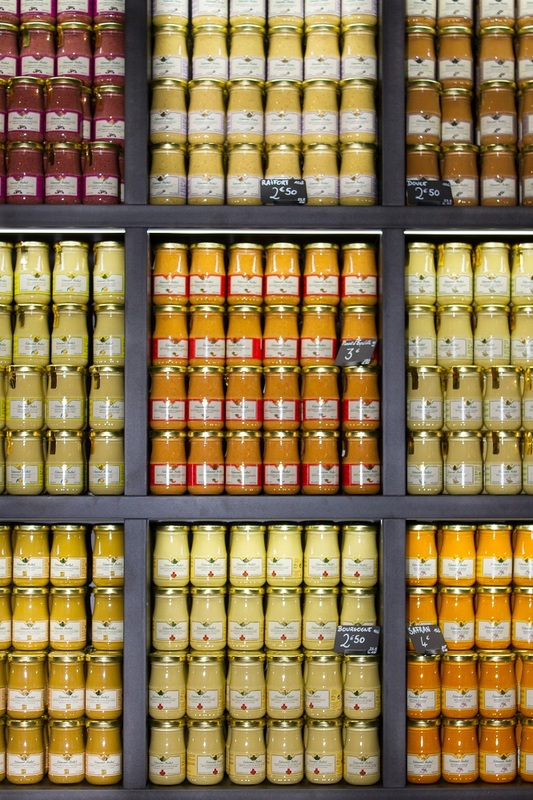 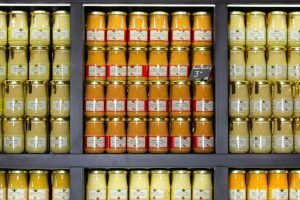 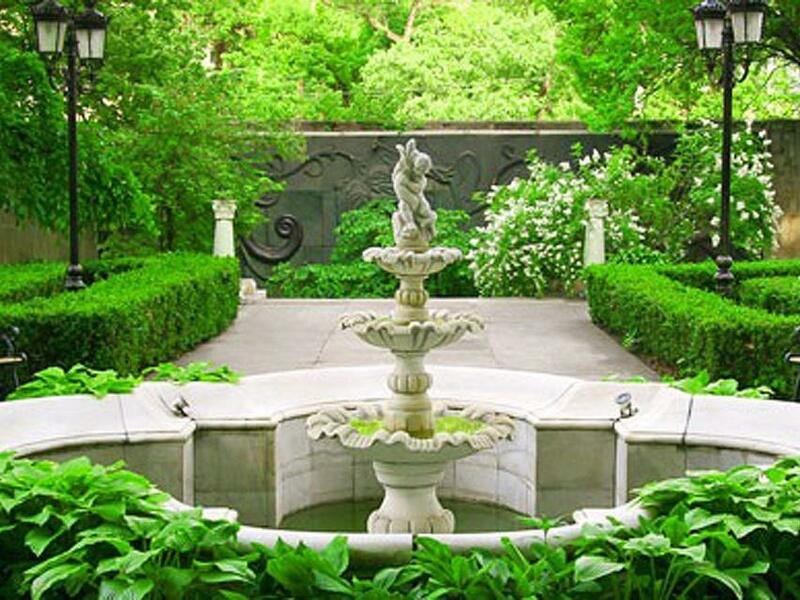 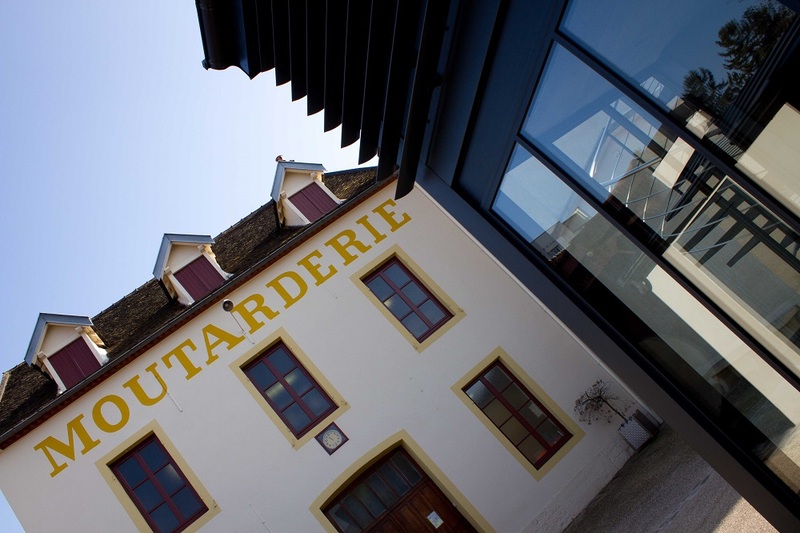 Through interactive exhibits and tasting area you will discover Maison Bouchard’s know-how. 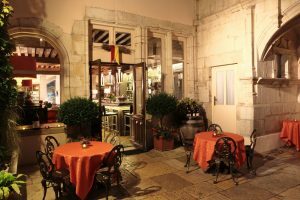 In 1796, Jean-Baptiste Patriarche purchased the Visitandines Couvent located in the city of Beaune. 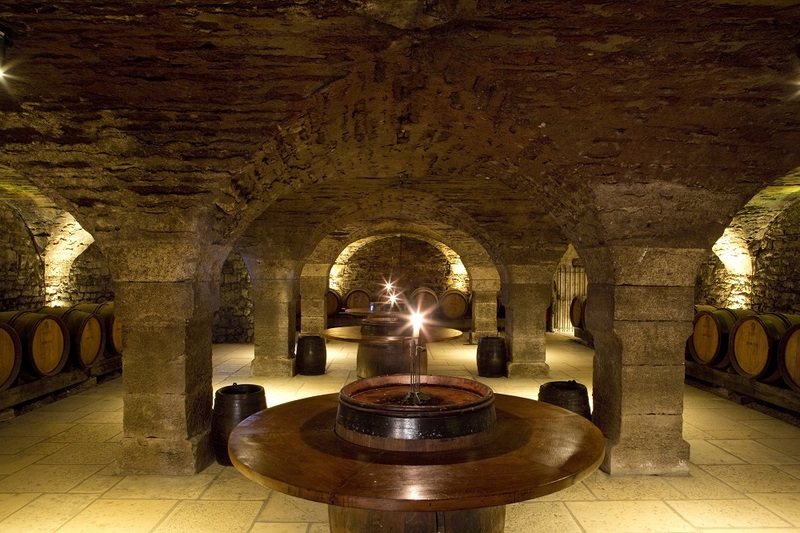 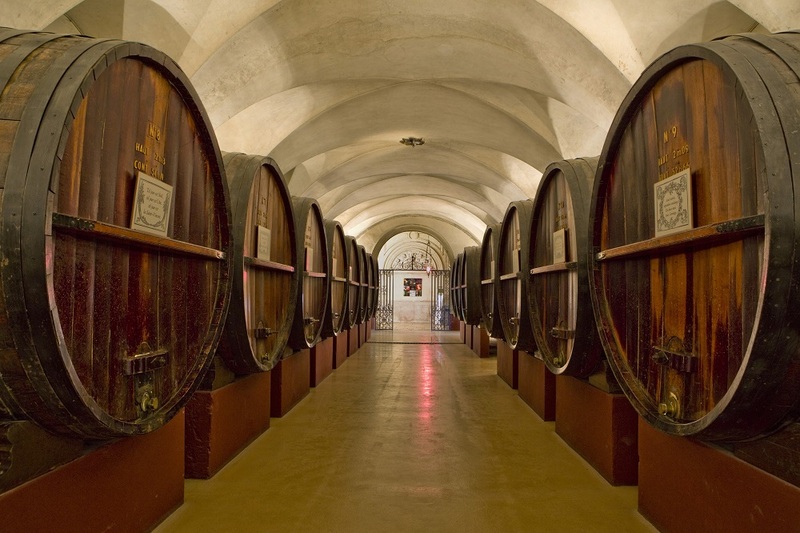 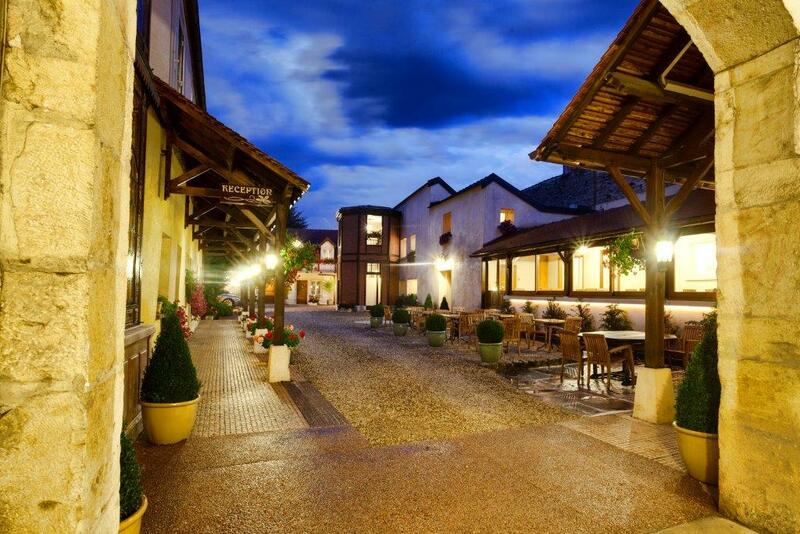 The wines cellars take place in a maze of 5 kilometers of beautiful vaulted galleries. 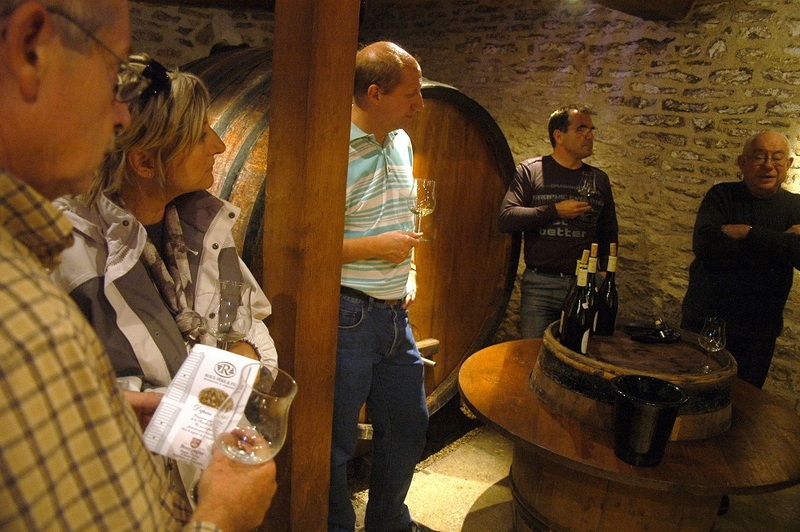 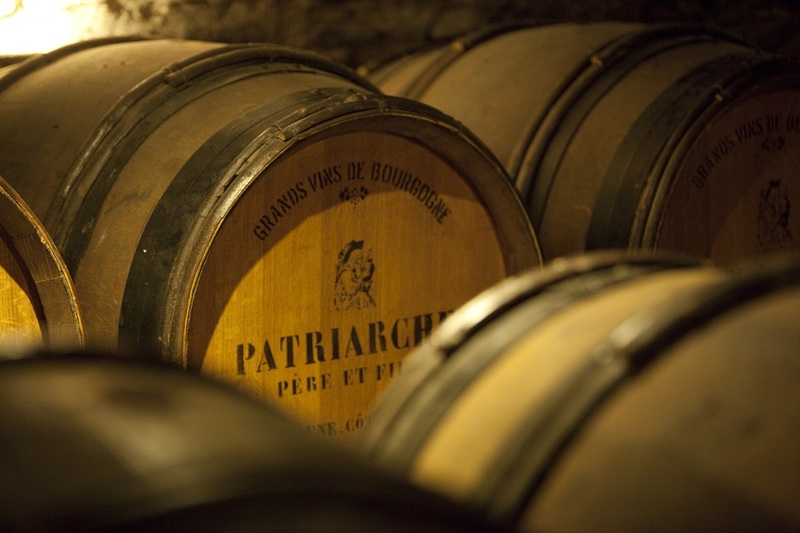 You will enjoy tasting the Château wines in the monastic atmosphère of 12th century vaulted cellars. 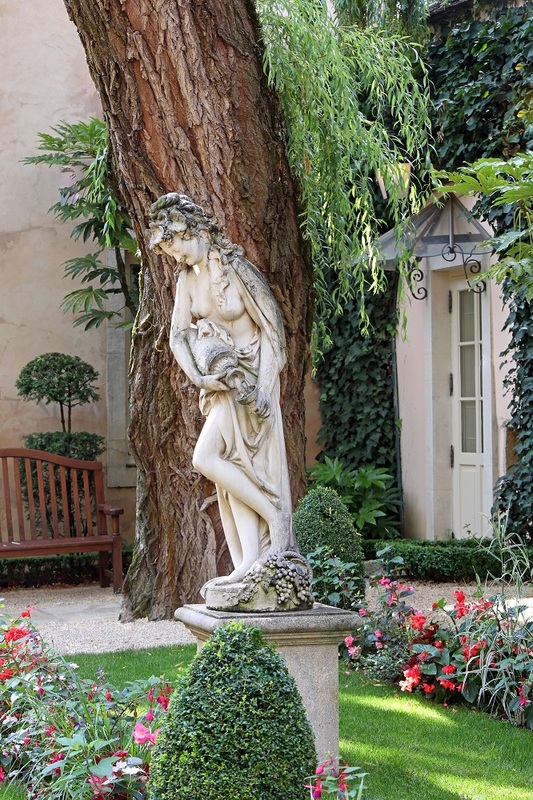 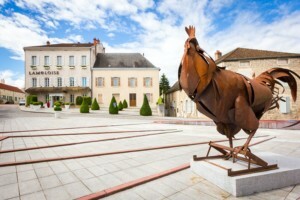 The park of the Château is beautiful and the art gallery is worth a walk. 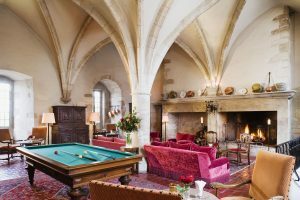 This magnificent castle, as well as the vaulted cellars, were built during the 9th century and once belonged to Philippe-le-Hardi, first Duke of Burgundy. 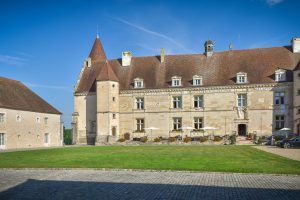 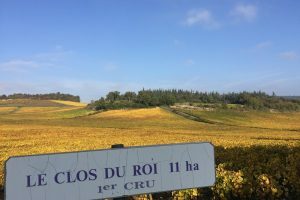 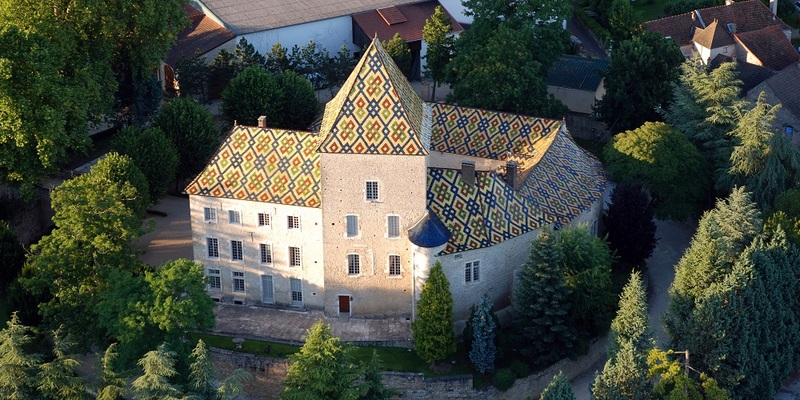 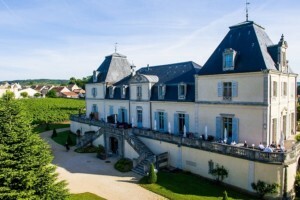 In Mercurey, the Domaine of Château de Chamirey belongs to the Devillard family, and invites you to discover the diversity of Burgundy terroirs through customized tastings of its 5 family estates that stretch from Burgundy regions of the Côte de Nuits through the Mâconnais – passing through Mercurey and Givry. 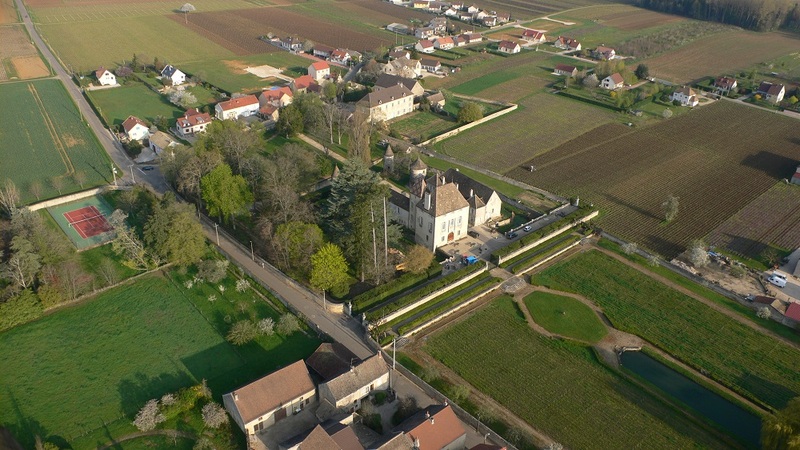 The Château de Chamirey estate covers 95 acres of which 38 are amongst the most renowned Premiers Crus of the appellation. 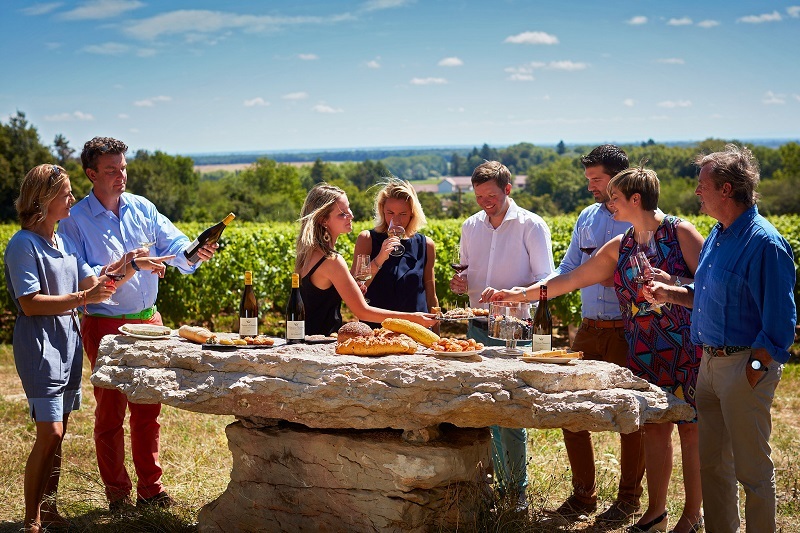 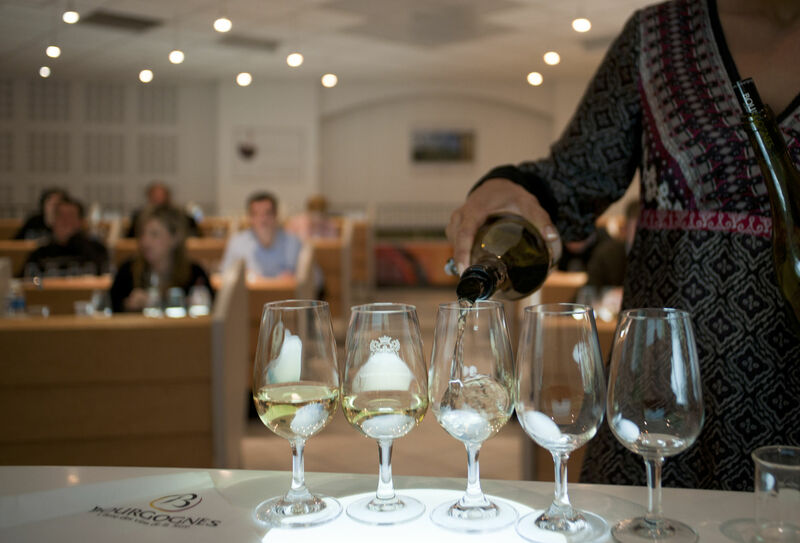 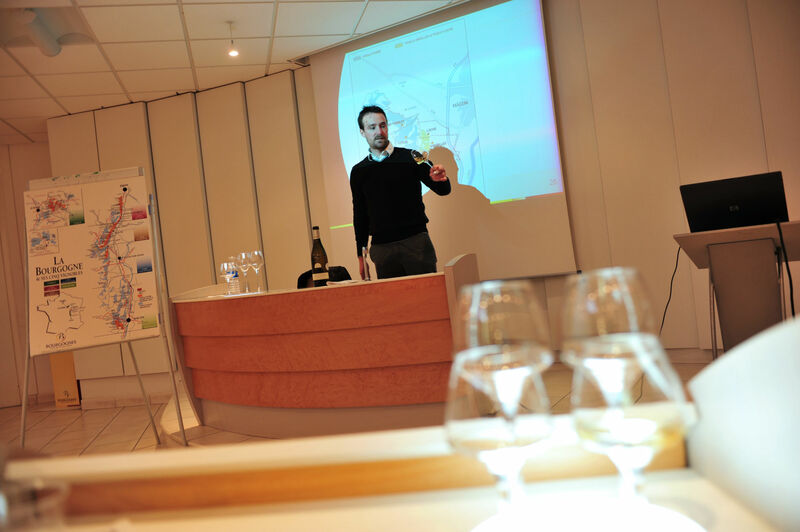 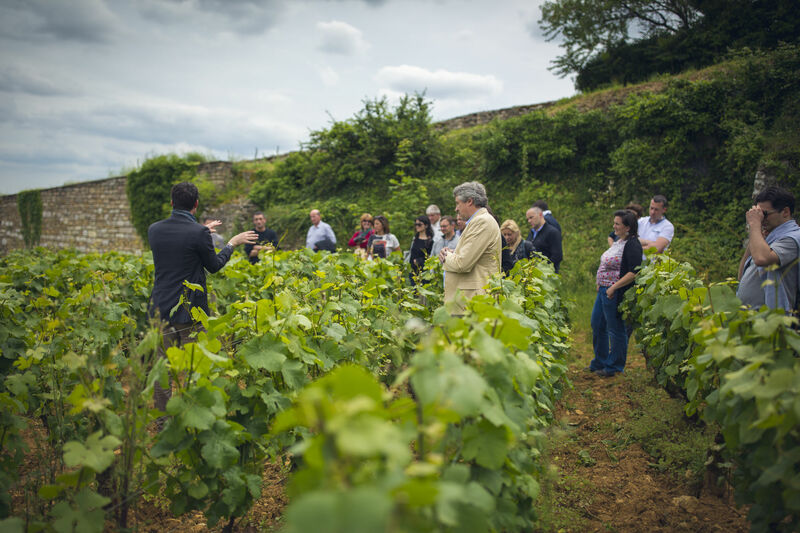 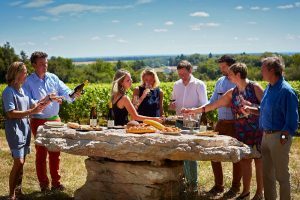 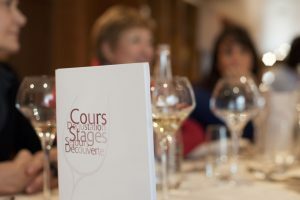 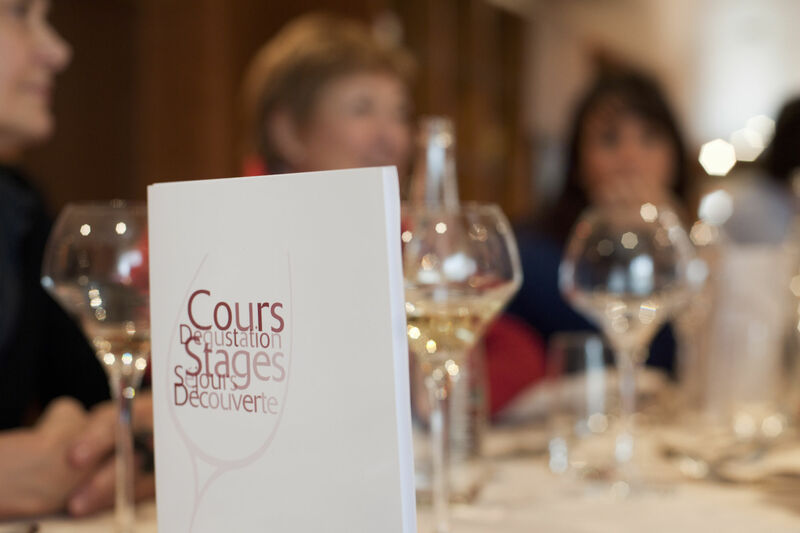 In Beaune, the BIVB (Bourgogne Wine Board) through l’Ecole des Vins offers more than just learning : try and enjoy an unforgettable expérience that is as exceptional as the Bourgogne wines you will taste. 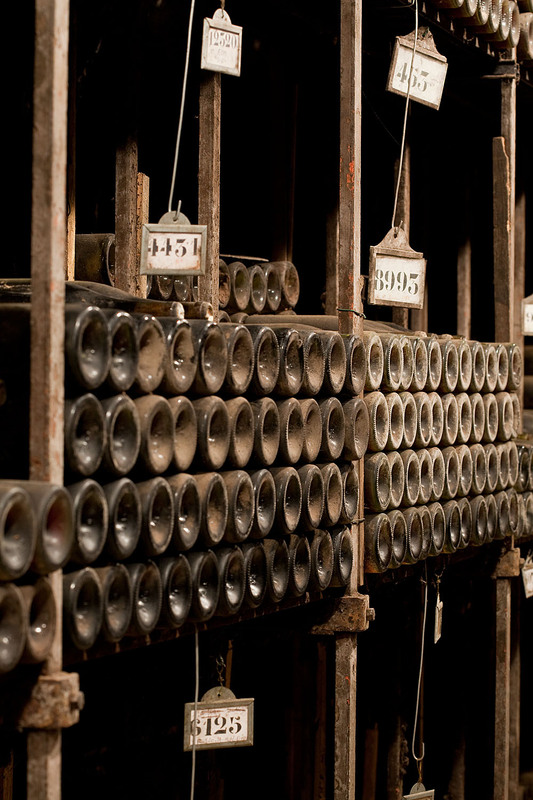 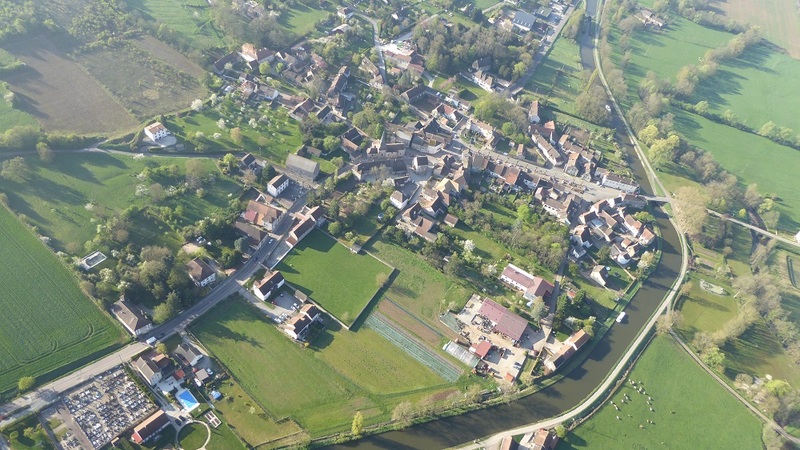 Fallot Mustard Mill has been an independant family-owned Burgundy company since 1840. La Moutarderie Fallot invites you coming to Beaune to discover the mustard through its three dedicated spaces : a Museographic tour which will reveal all the secret of the Brassica seeds and its history, a Sensational Experience tour for a sensory approach and Enjoy Fallot : a very original tasting area. 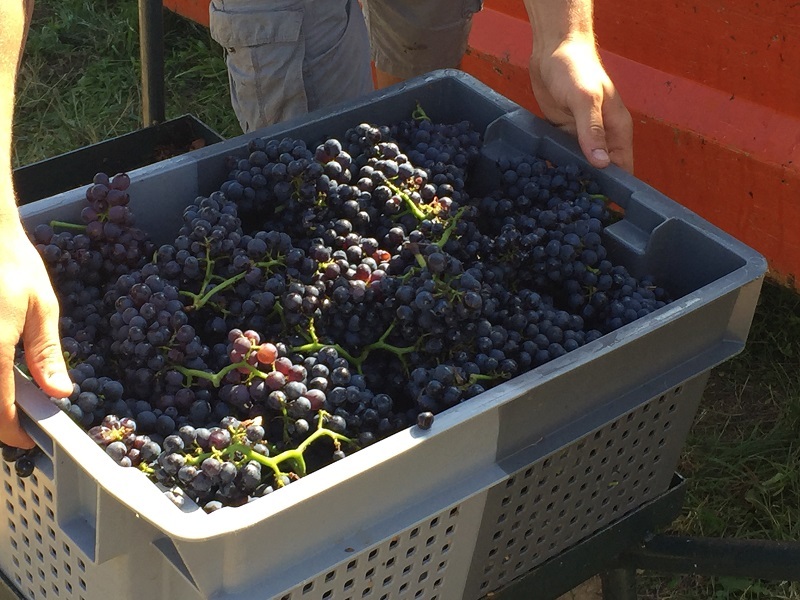 The world of blackcurrants unveals its secrets and makes a show of its wonderful properties. 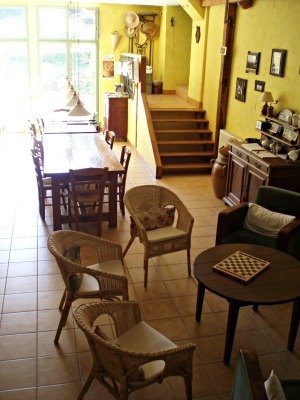 A tasty visit awaits both children and adults with the delights of the fantastic little berry. 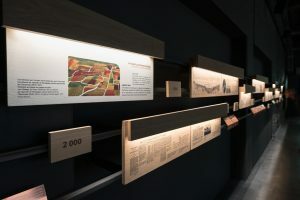 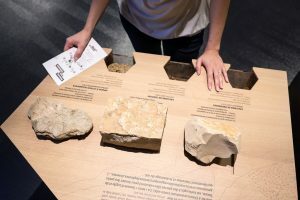 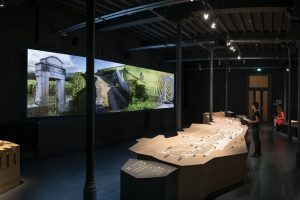 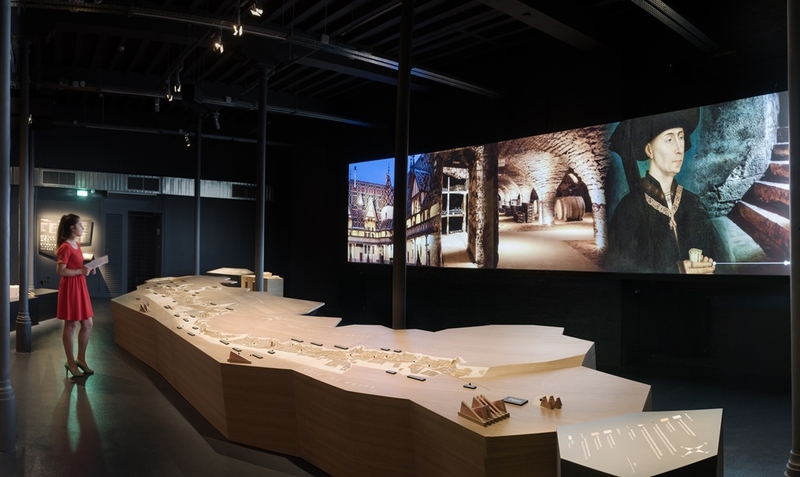 La Maison des Climats du vignoble de Bourgogne is an original exhibition space to understand the Climats, vineyards of Burgundy region listed on UNESCO World Heritage. 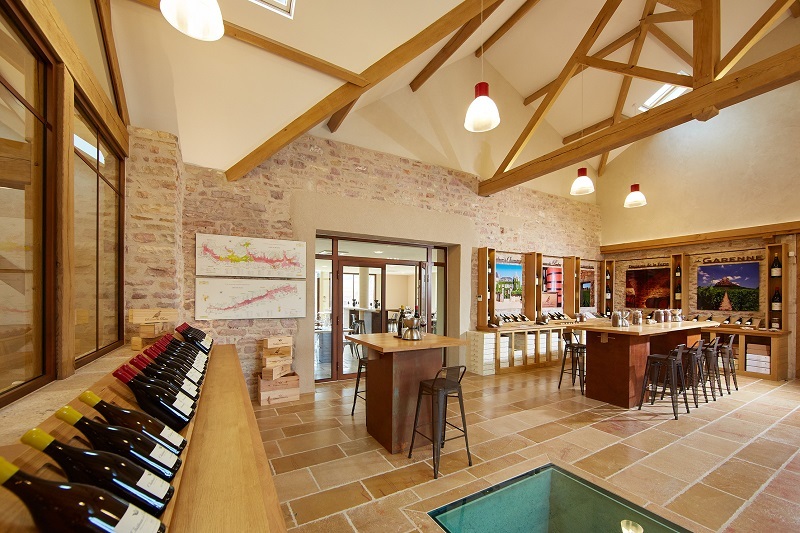 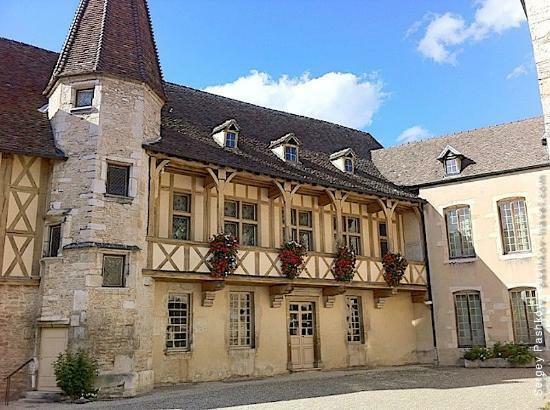 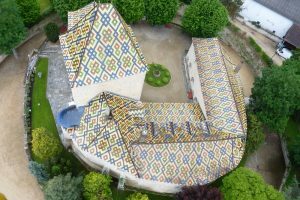 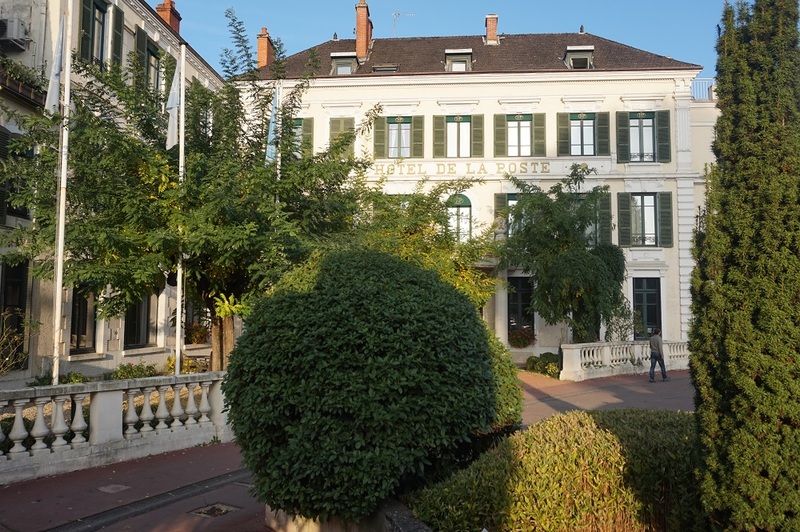 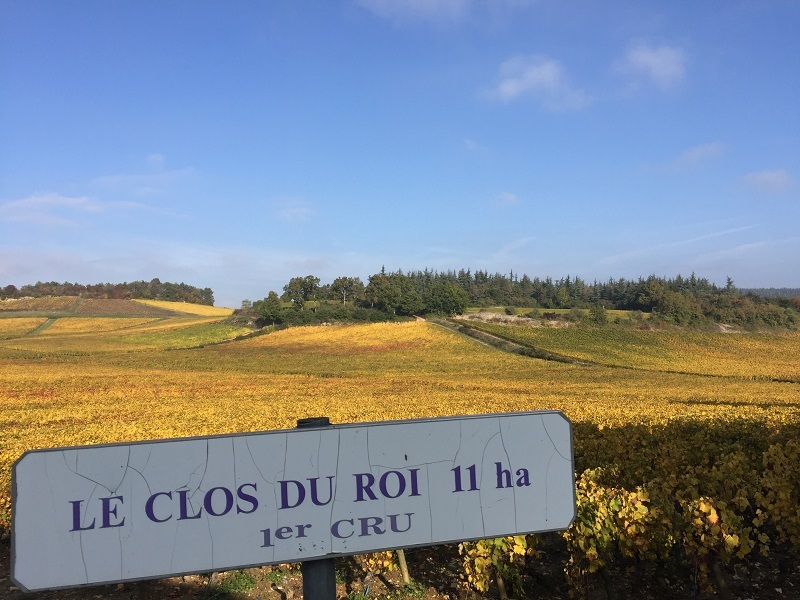 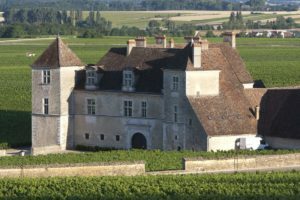 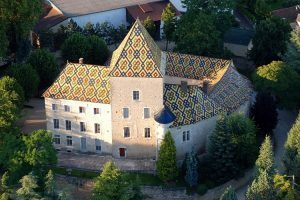 The Maison des Climats is an invitation to visit the wines of the Côte de Nuits and Côte de Beaune, and the rich heritage of the local towns and villages. It also provides a fine introduction to any tasting or visit to a vineyard. 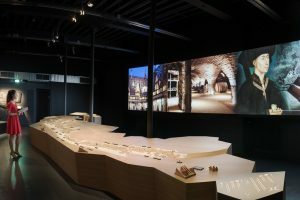 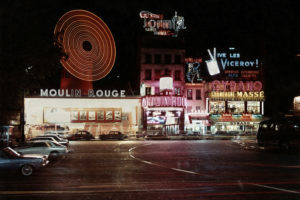 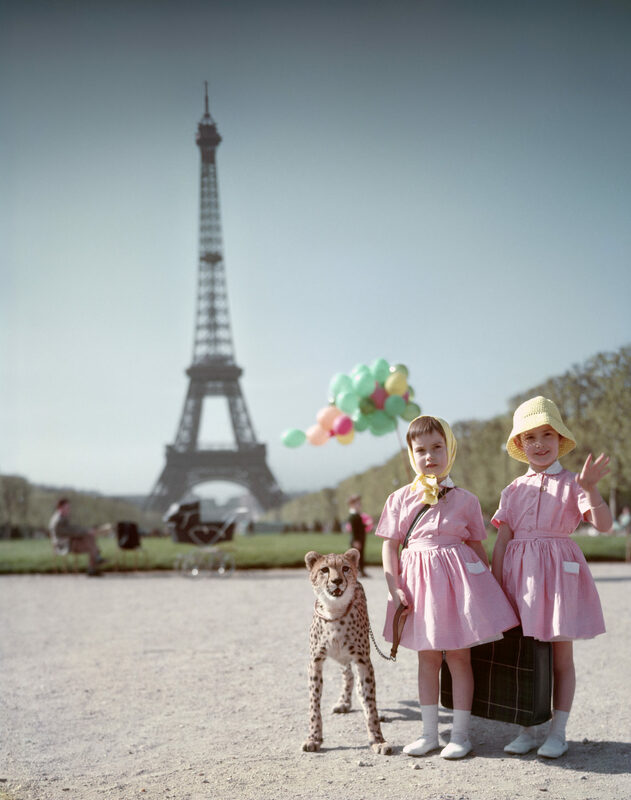 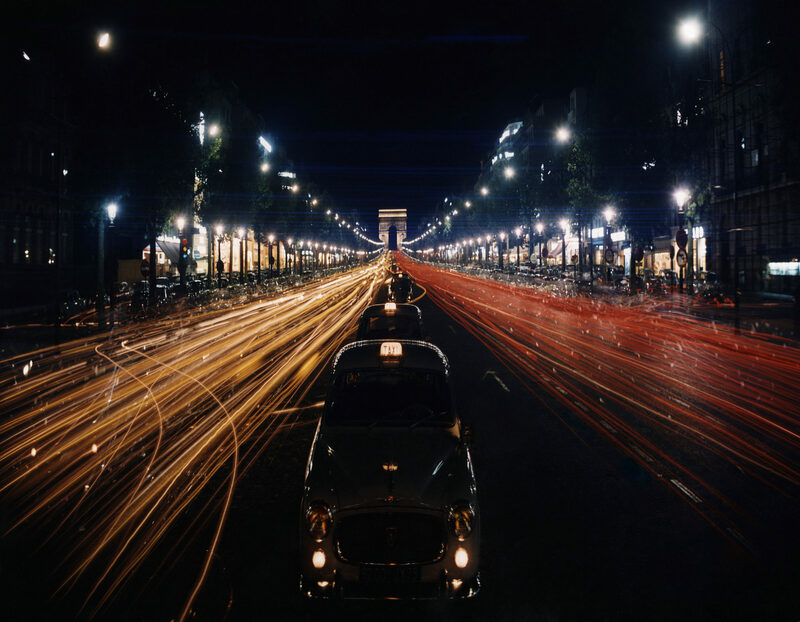 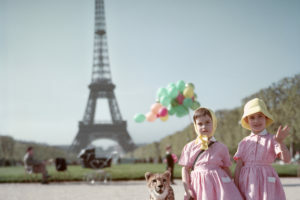 L’exposition Michel Tourlière (1925 – 2004) jusqu’au dimanche 26 Novembre 2017. 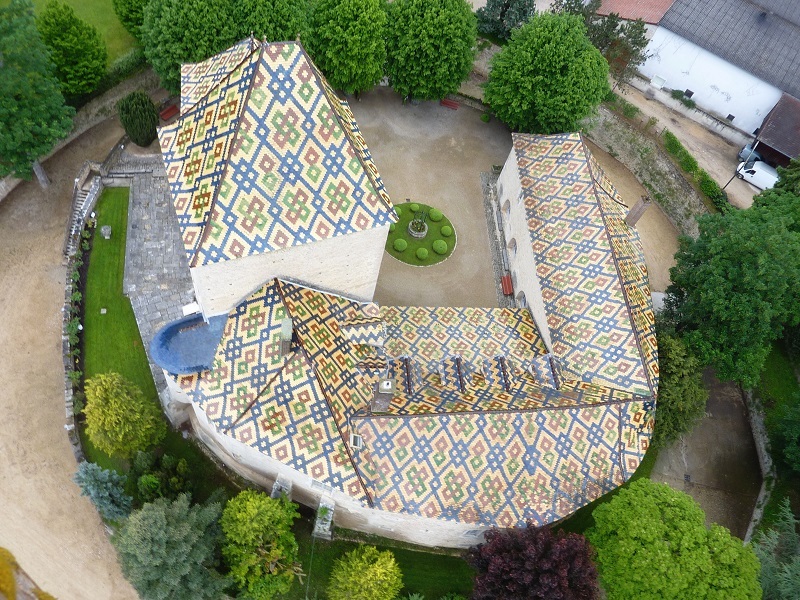 Michel Tourlière est l’un des principaux représentants de la tapisserie française dans la deuxième moitié du XXème siècle. 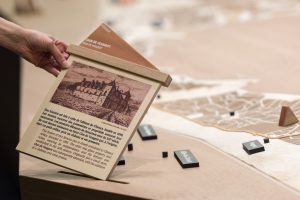 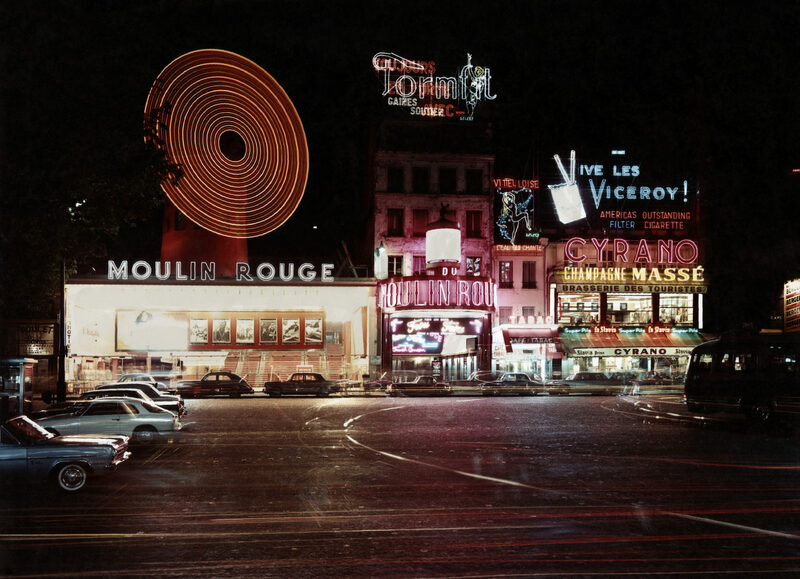 Cette rétrospective retrace les grandes étapes de l’itinéraire artistique de Tourlière, de Beaune à Paris en passant par Aubusson et révèle une œuvre riche, puissante et élégante, mariant opportunément les couleurs, les rythmes et les formes. 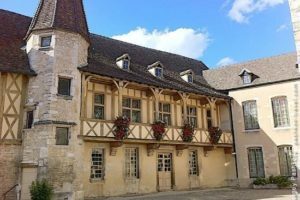 Musée des Beaux-arts de Beaune Porte Marie de Bourgogne. 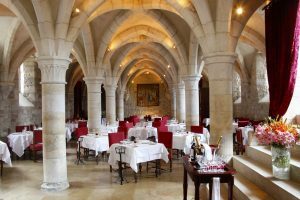 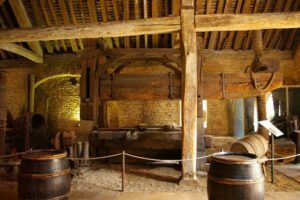 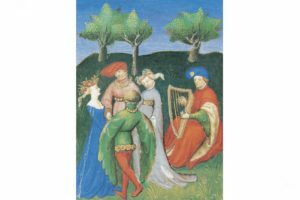 Exposition "A table au Moyen-Age"
The very attractive exhibition “A meal in the Middle Ages“ is to be discovered in the cuverie as well as in the old cookings of the Château du Clos de Vougeot. 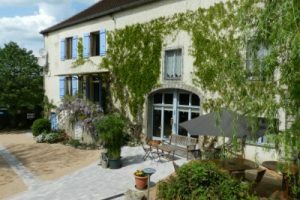 Apéritifs musicaux à l’Hostellerie de Levernois jusqu’au 27 Octobre. Michel Martin Charrière, contrebassiste de talent fera de votre pause apéritive un moment particulièrement délectable, dans un cadre enchanteur. 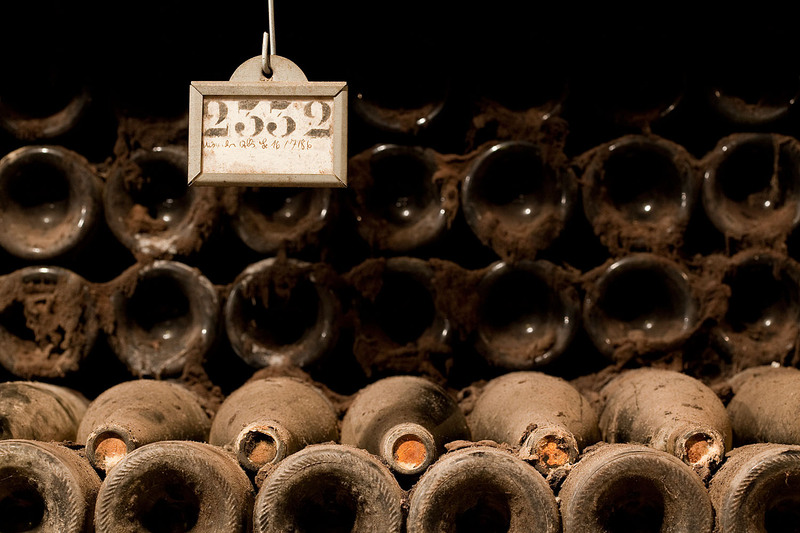 Of the finest of our days.